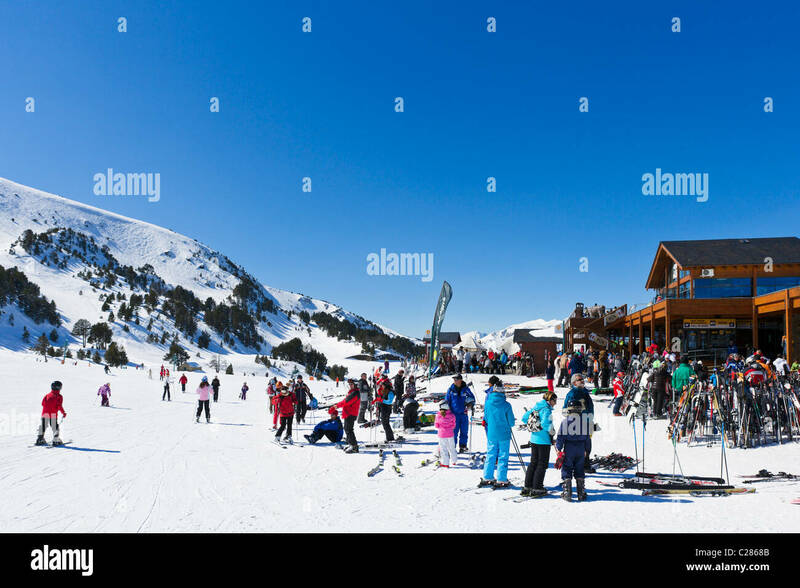 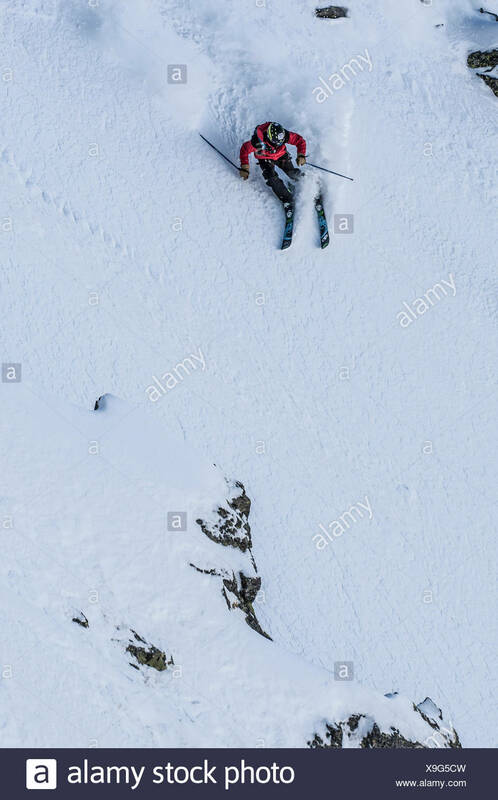 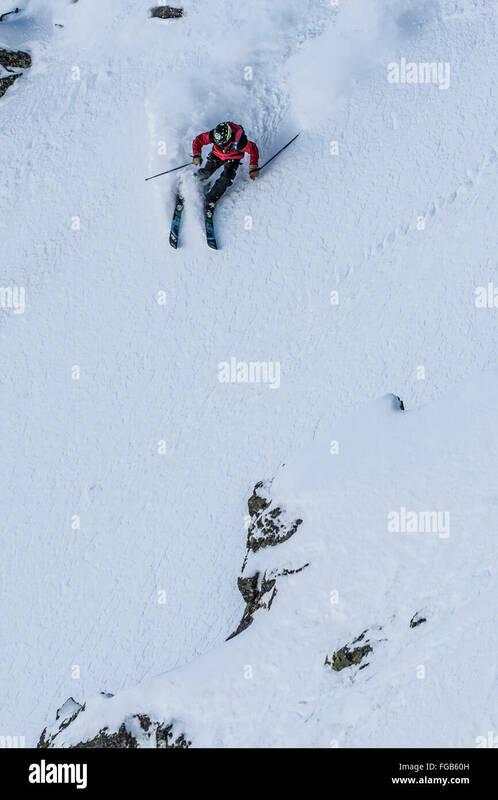 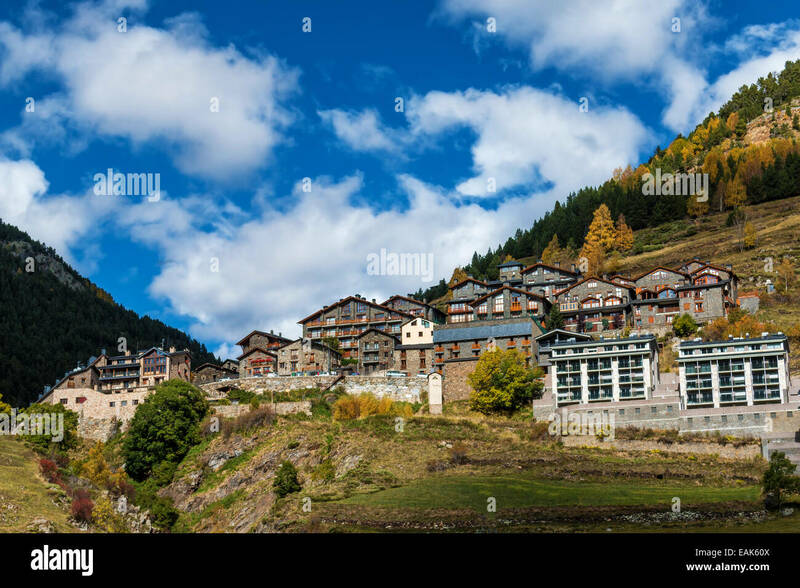 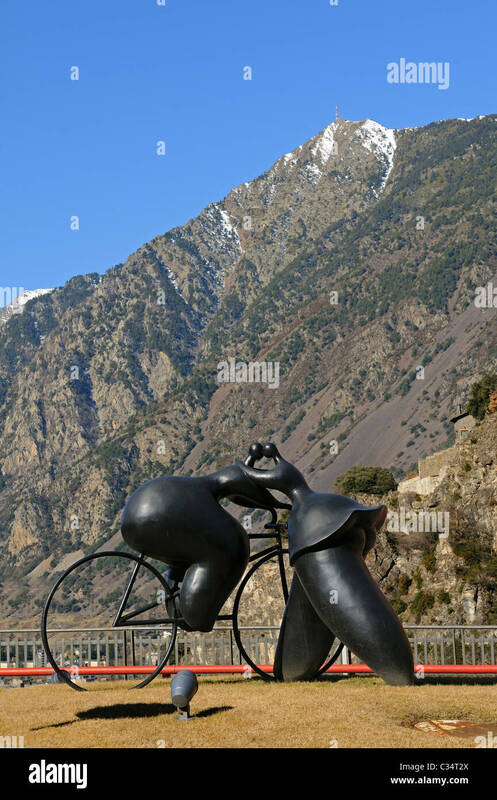 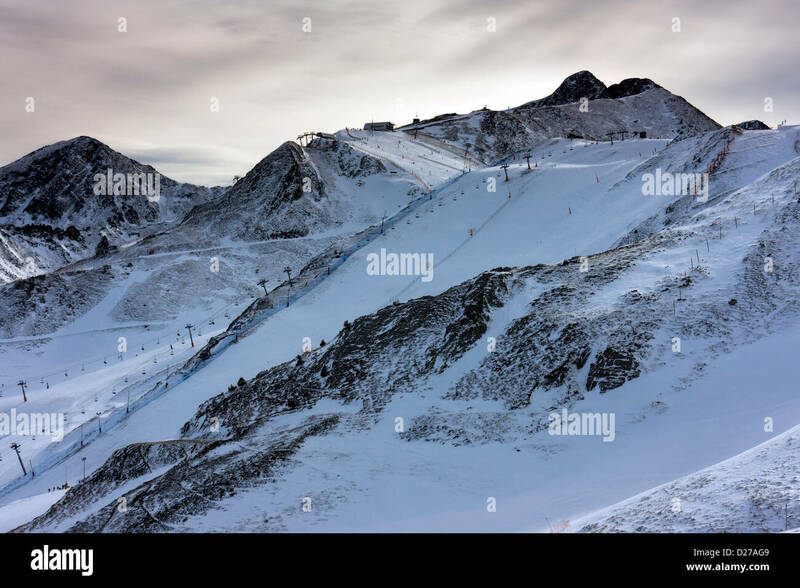 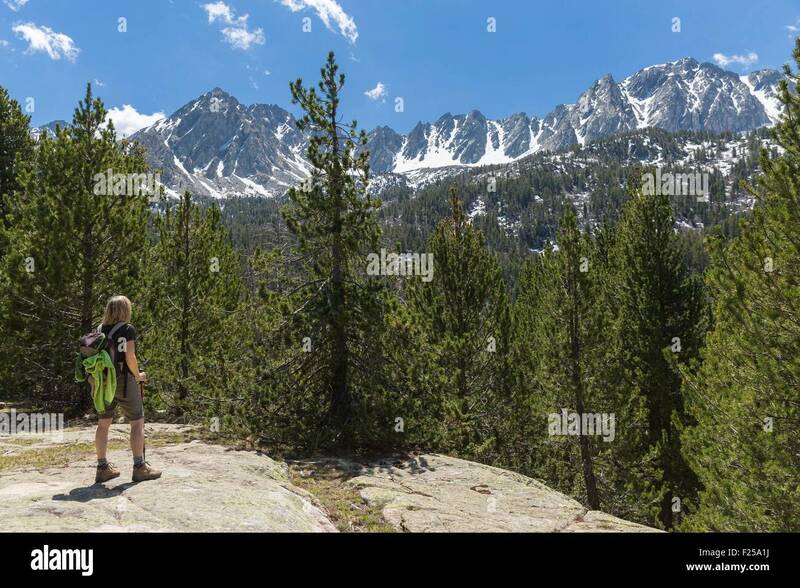 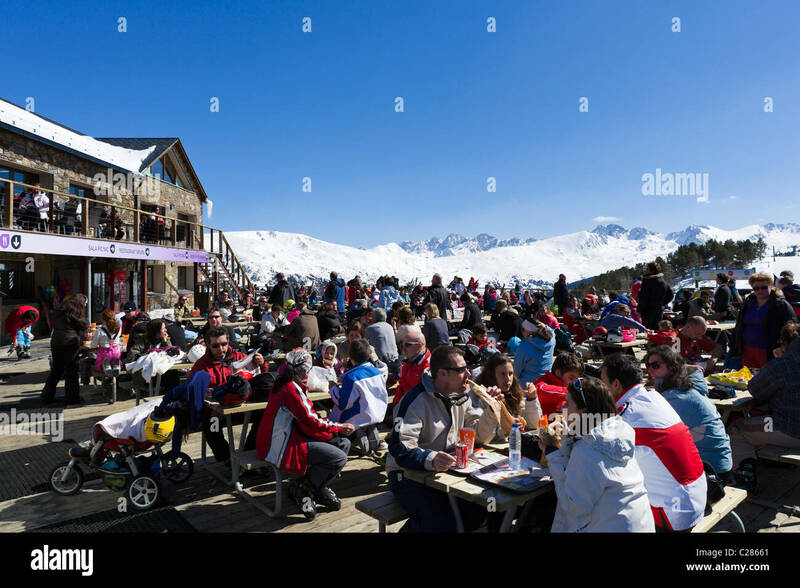 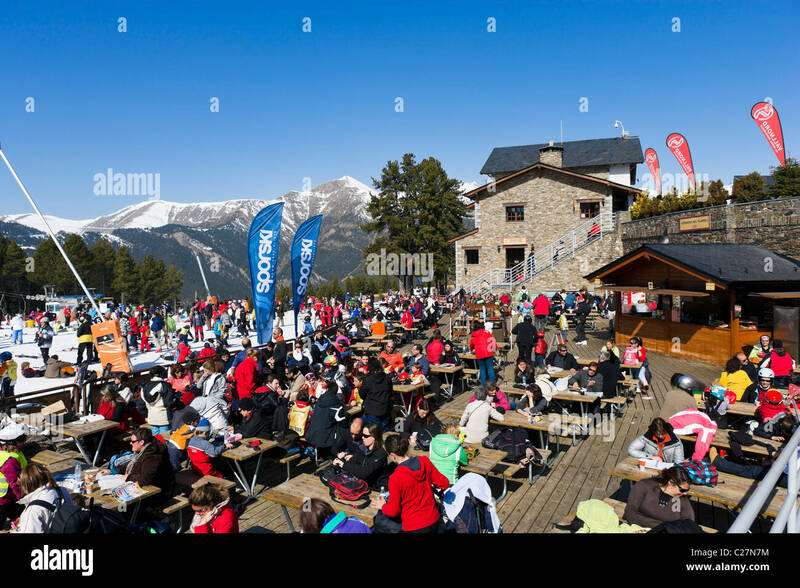 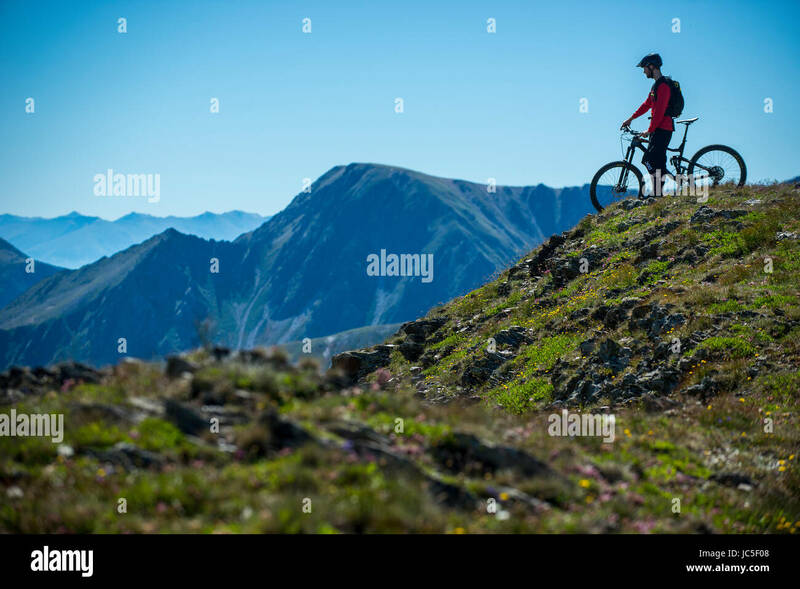 A man rides a mountain bike in the Grandvalira resort in Andorra in the Pyrenees. 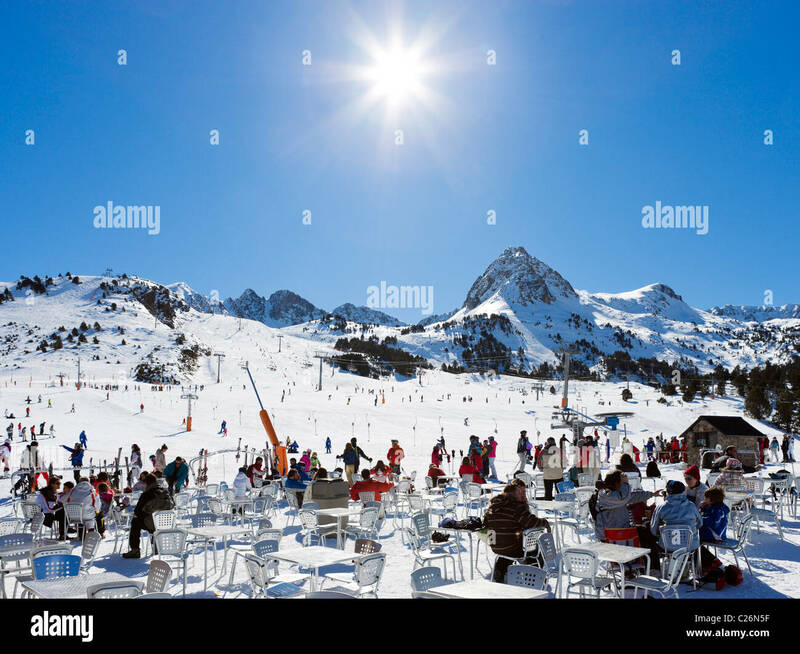 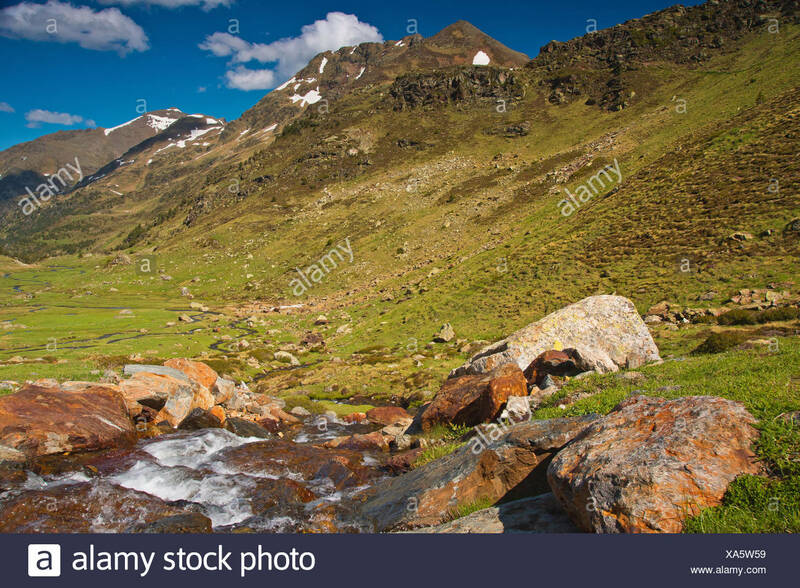 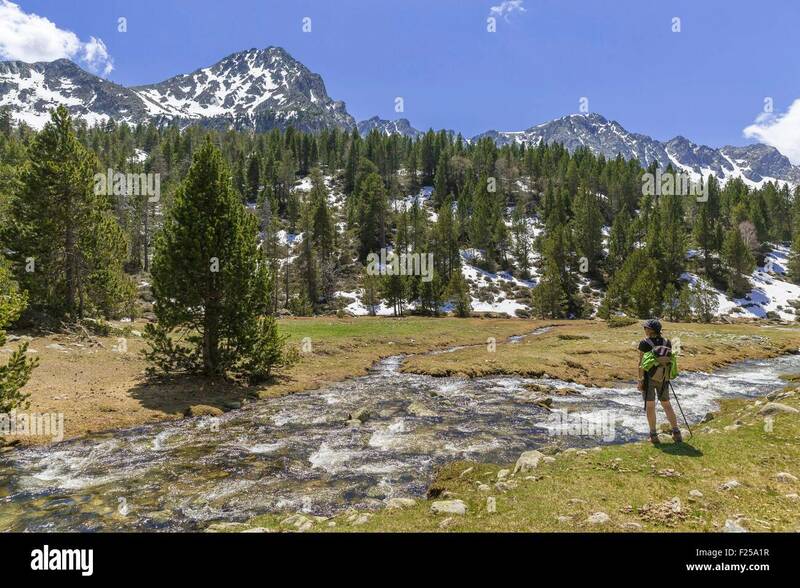 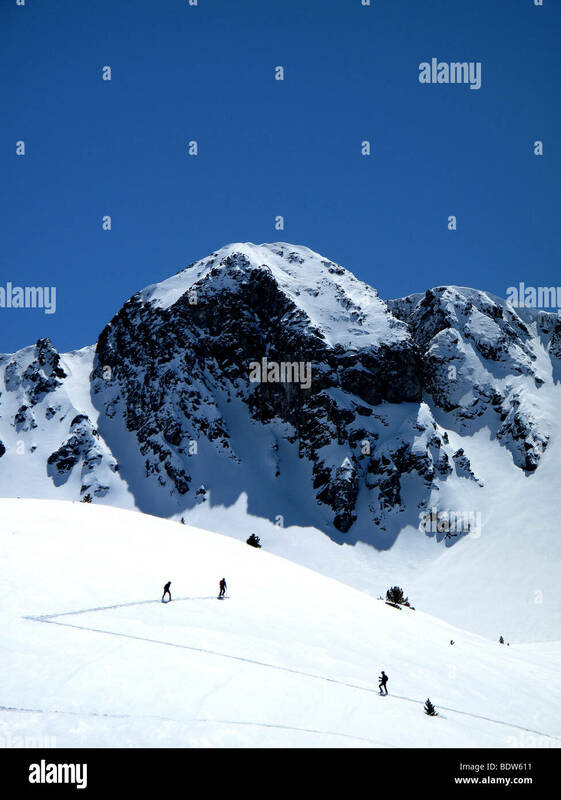 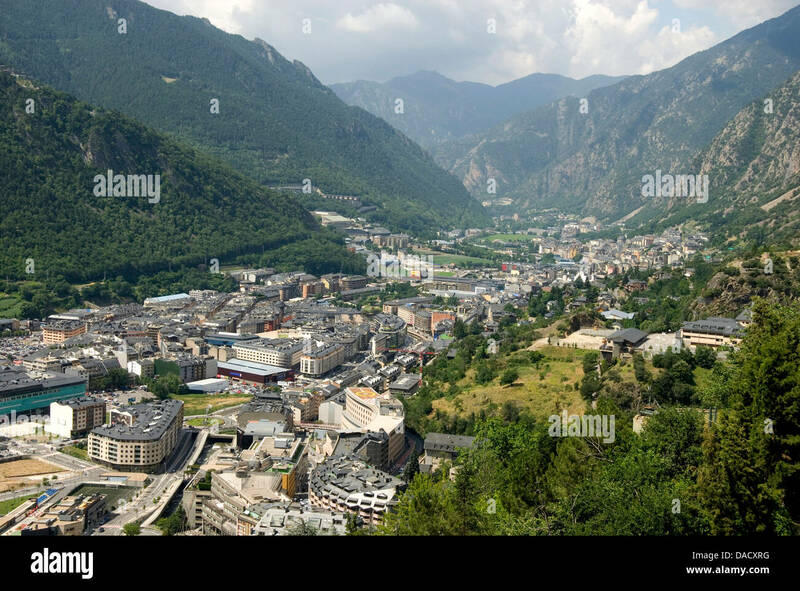 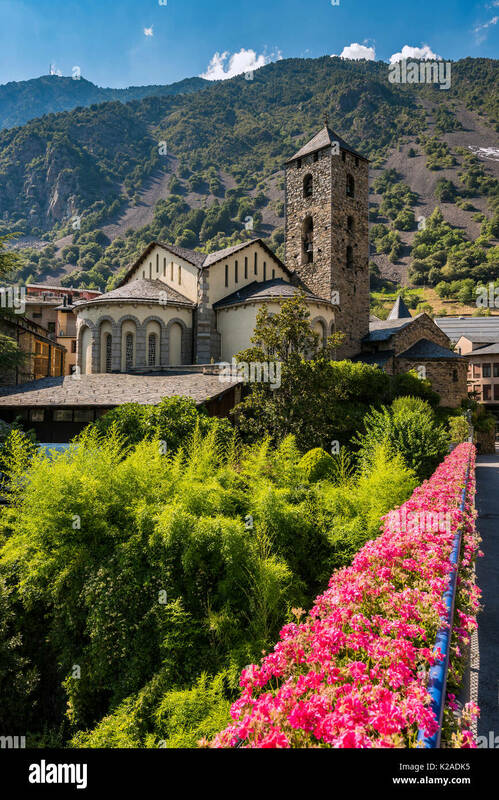 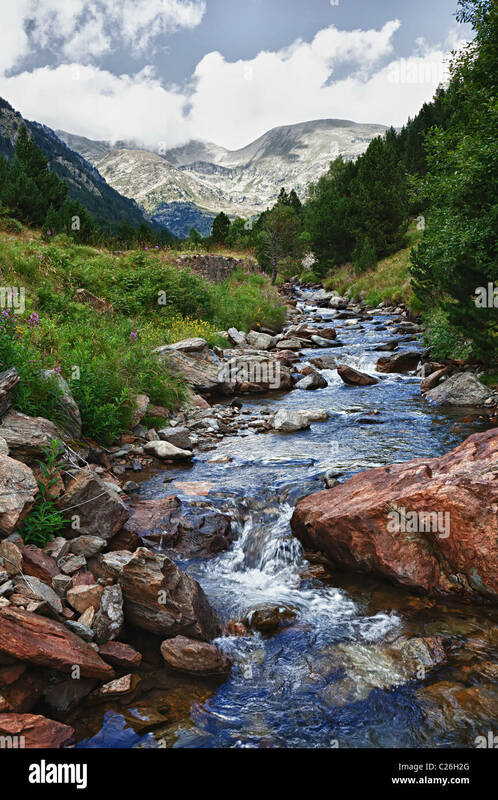 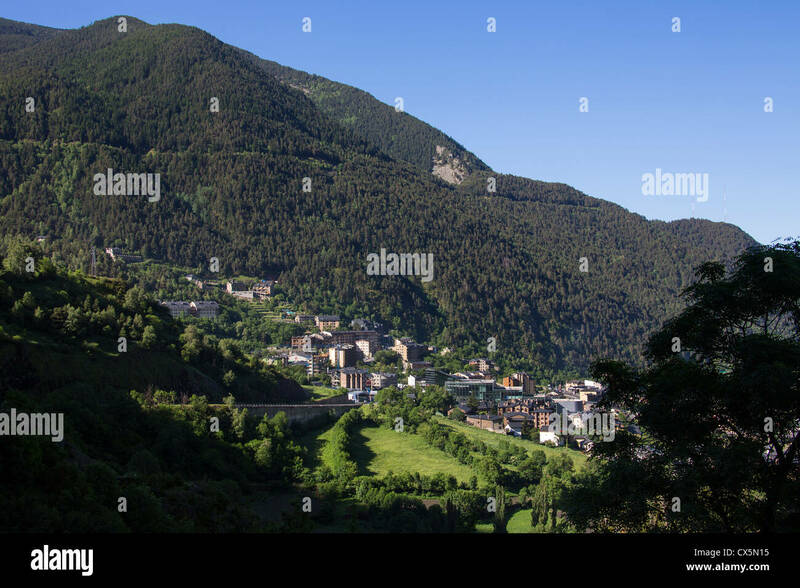 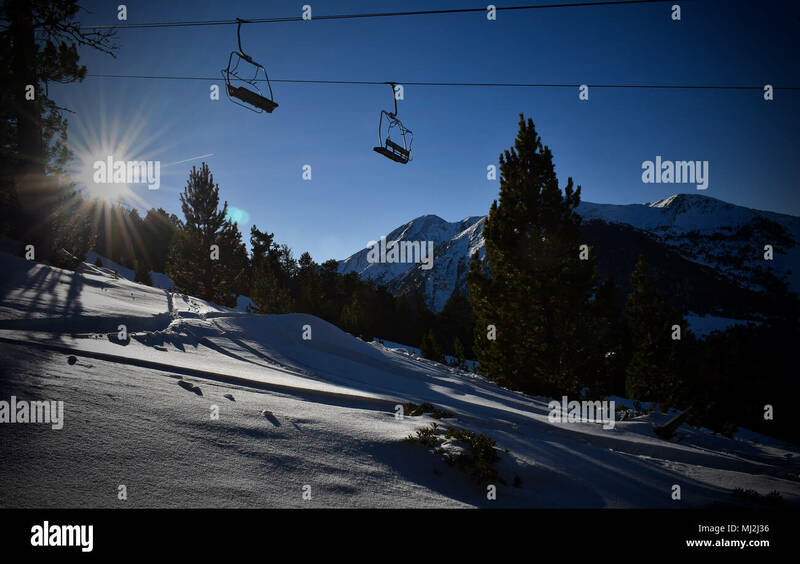 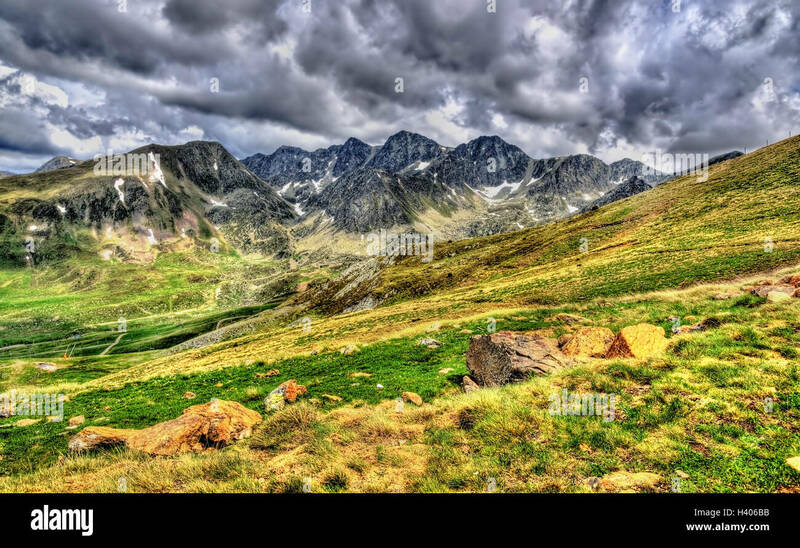 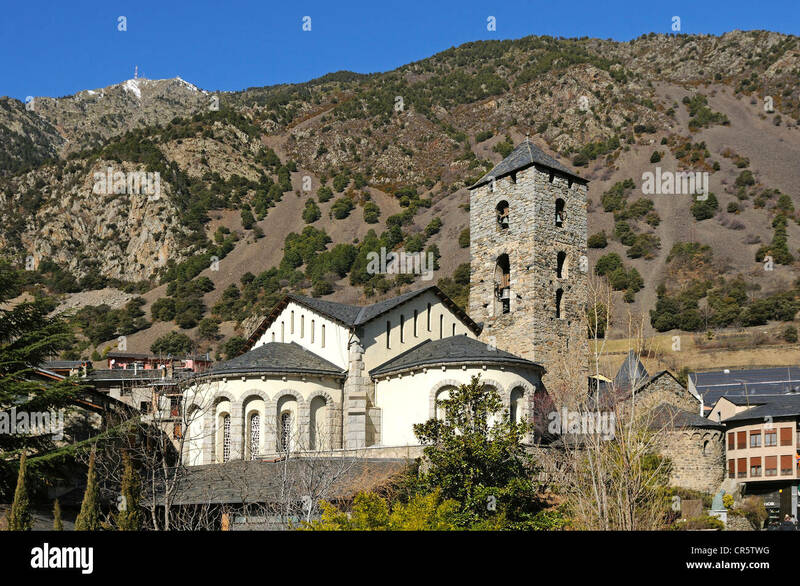 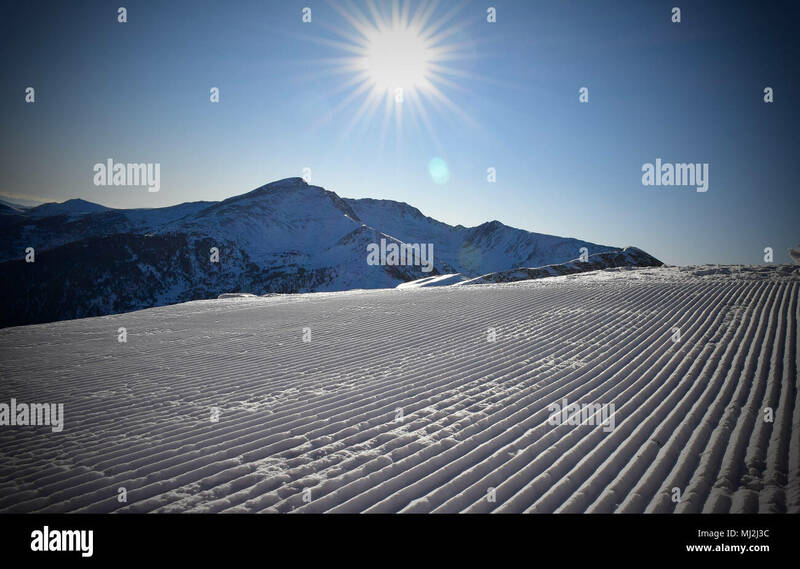 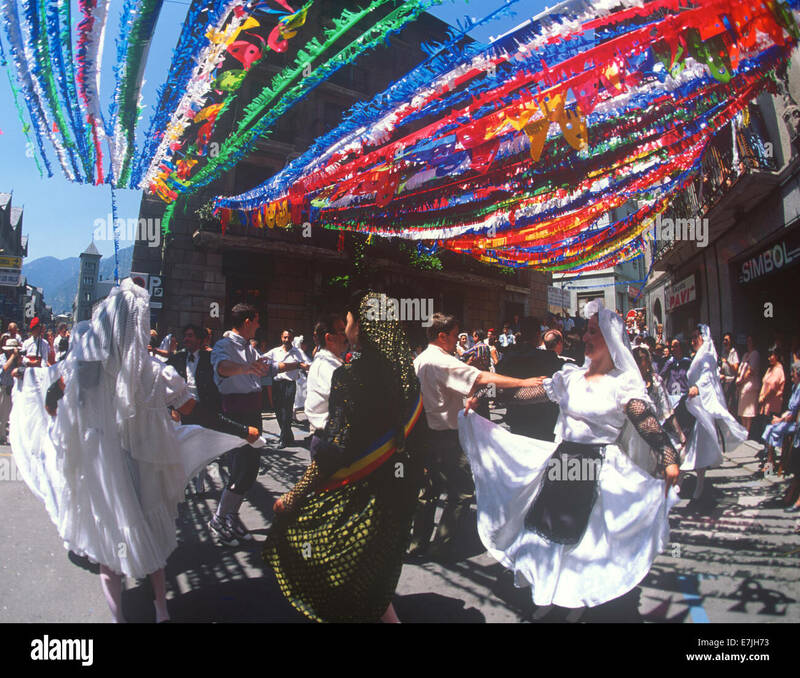 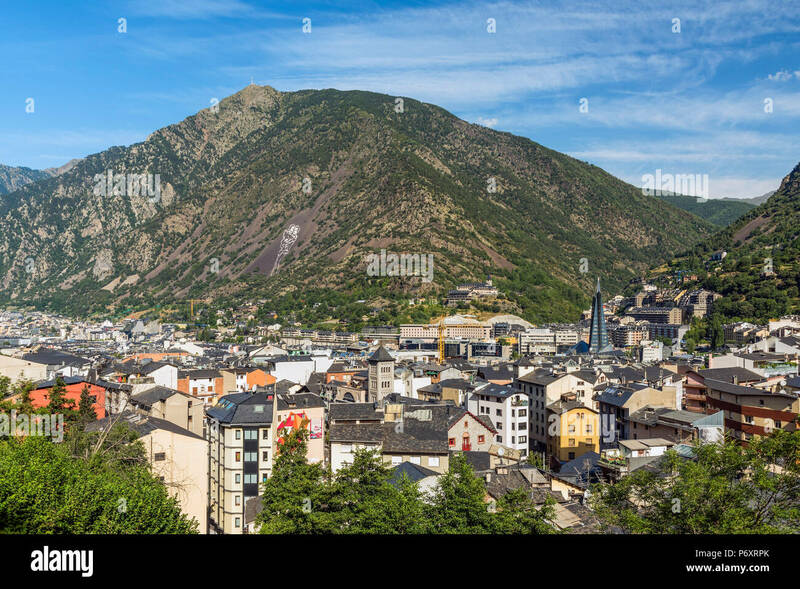 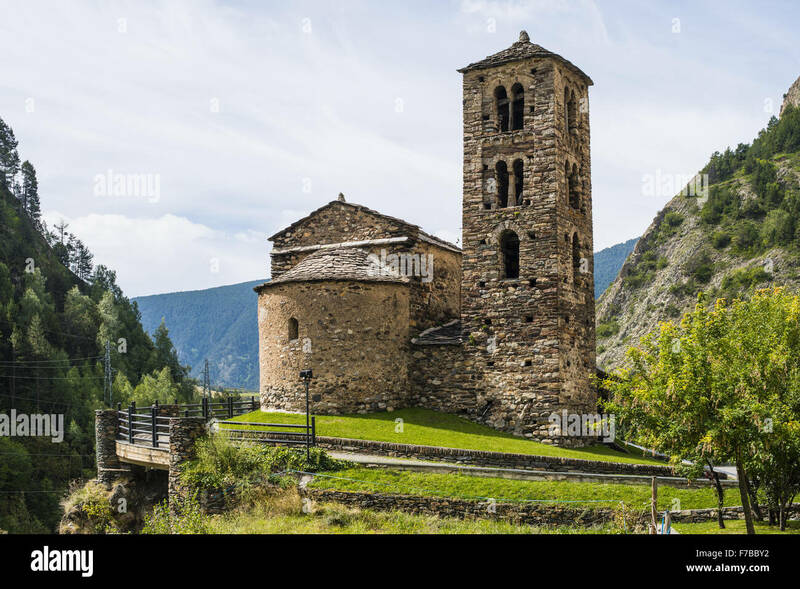 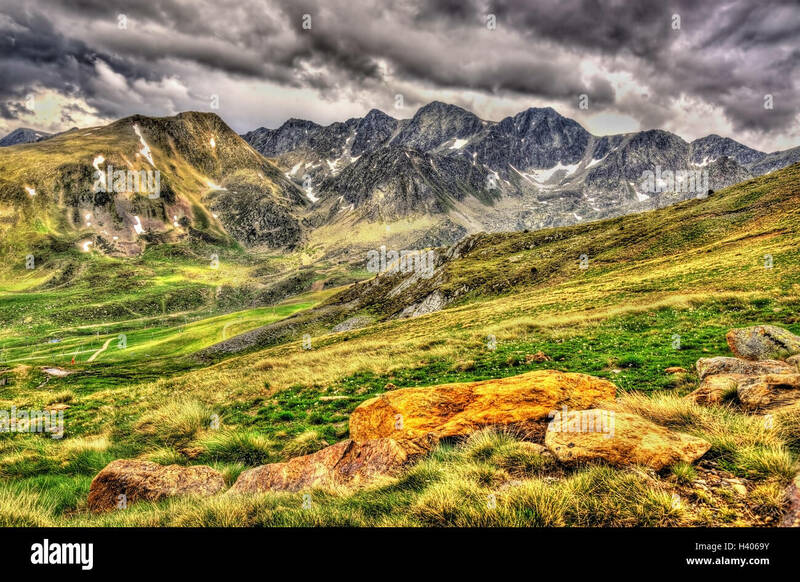 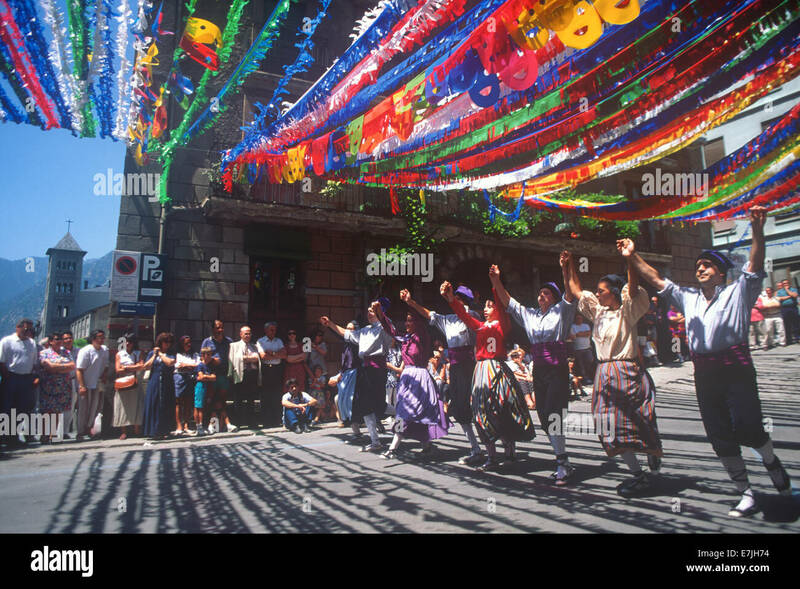 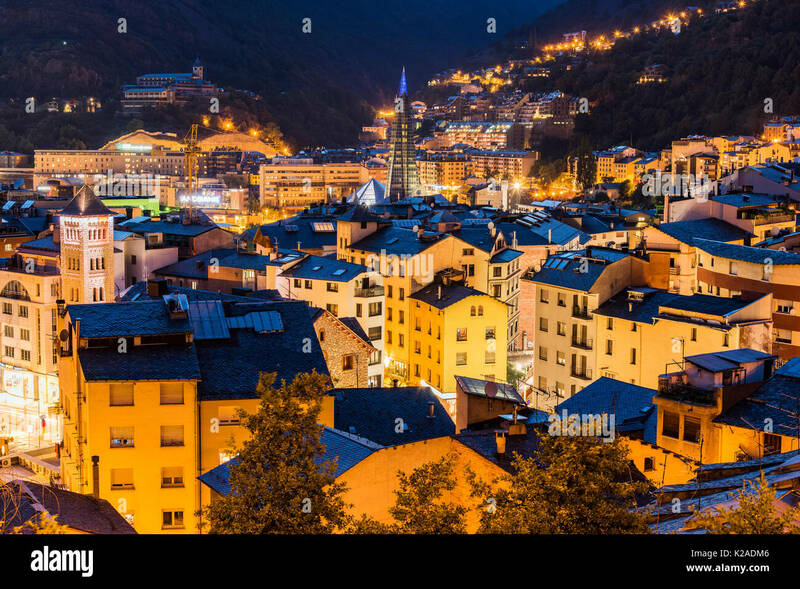 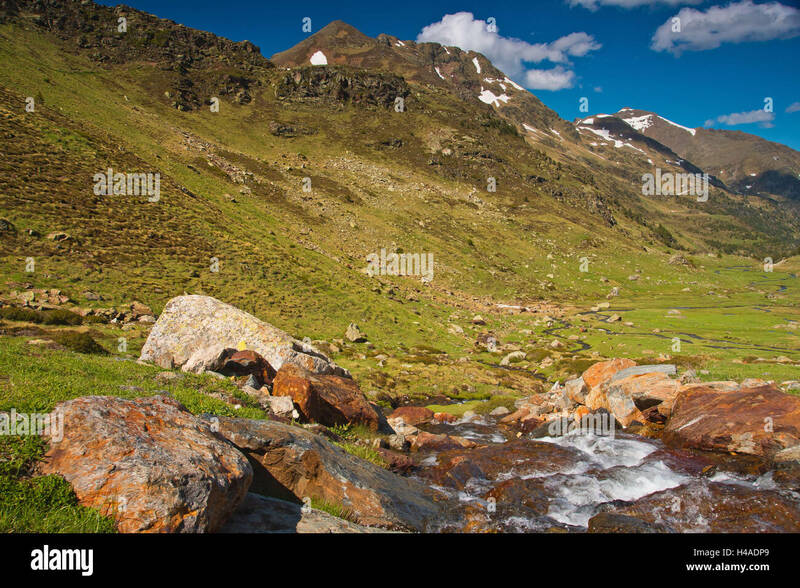 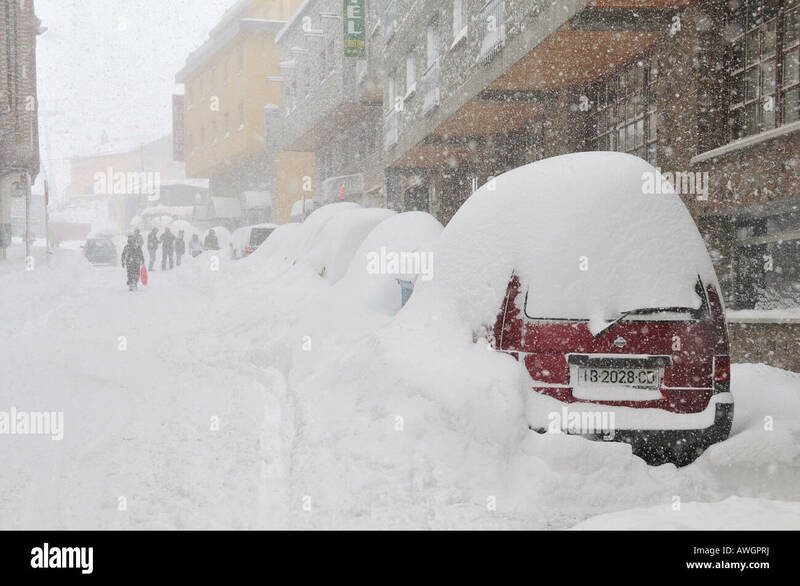 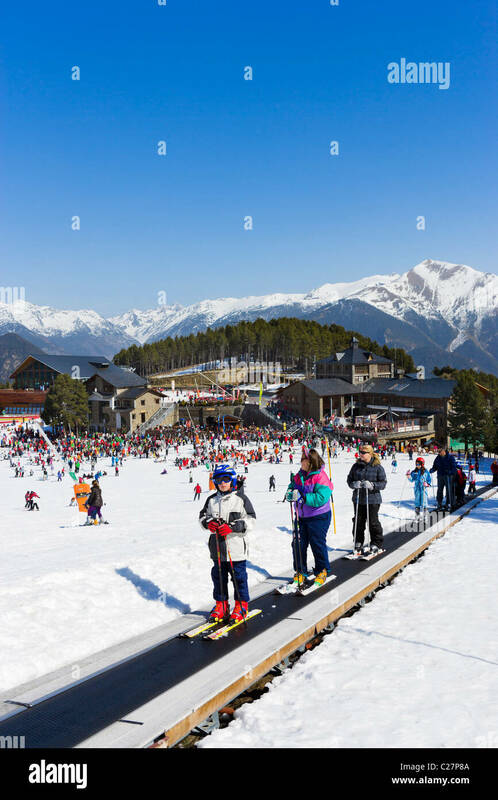 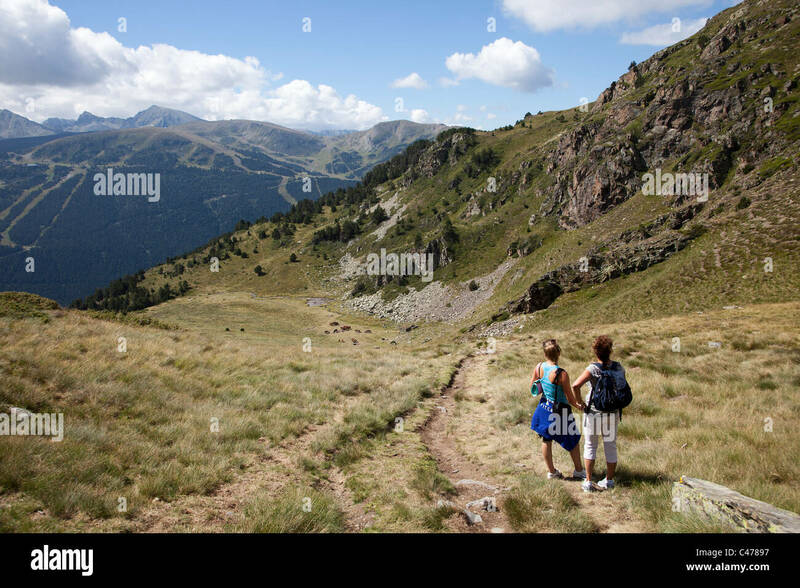 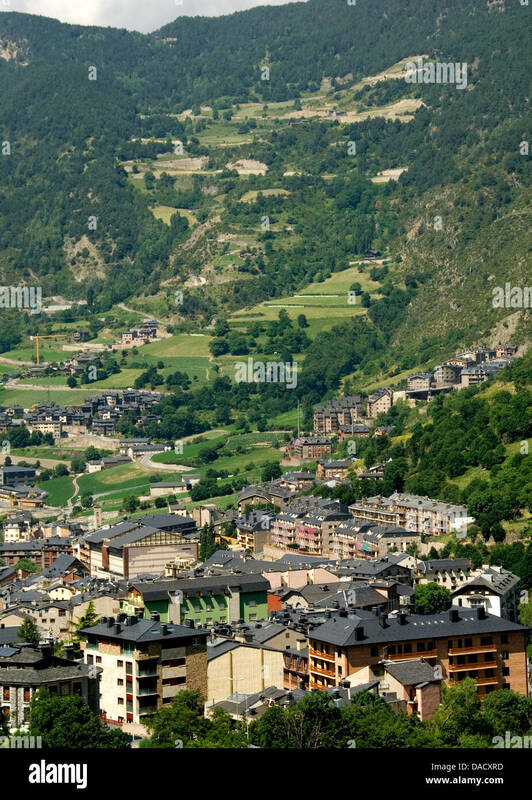 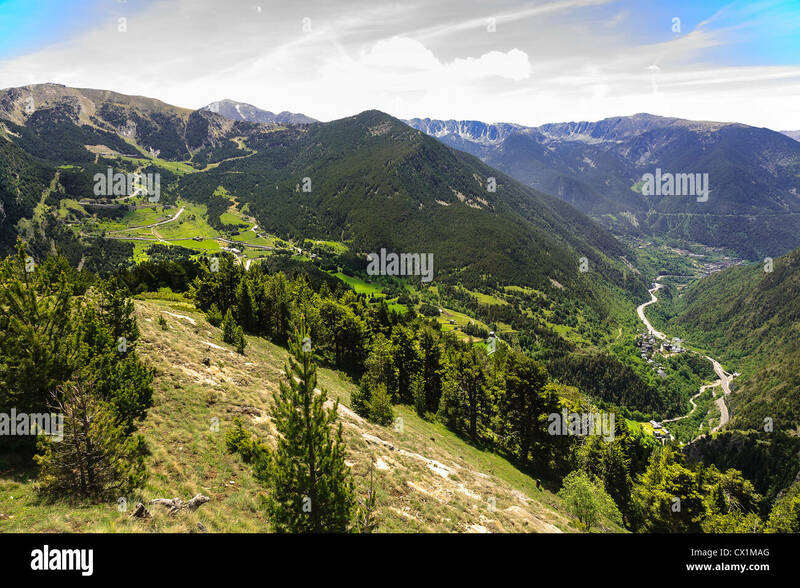 The Pyrenees mountains in Andorra, a principality between France and Spain which is ruled by both countries. 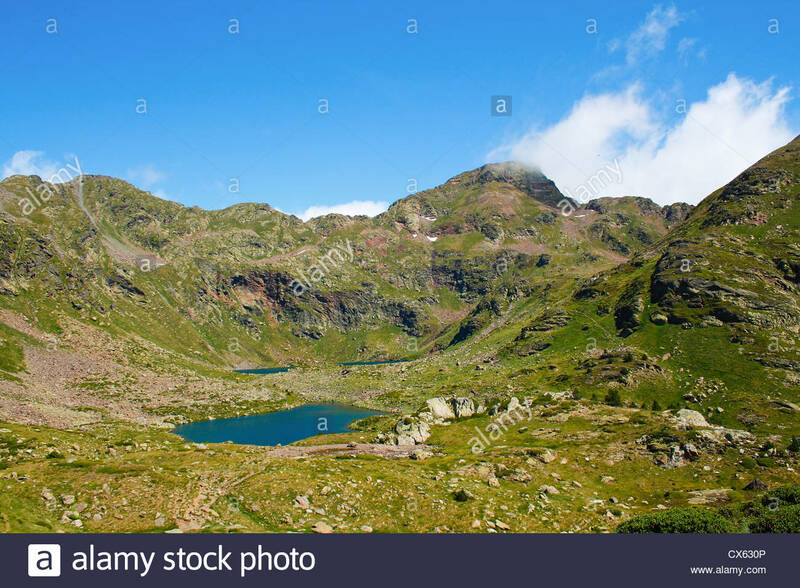 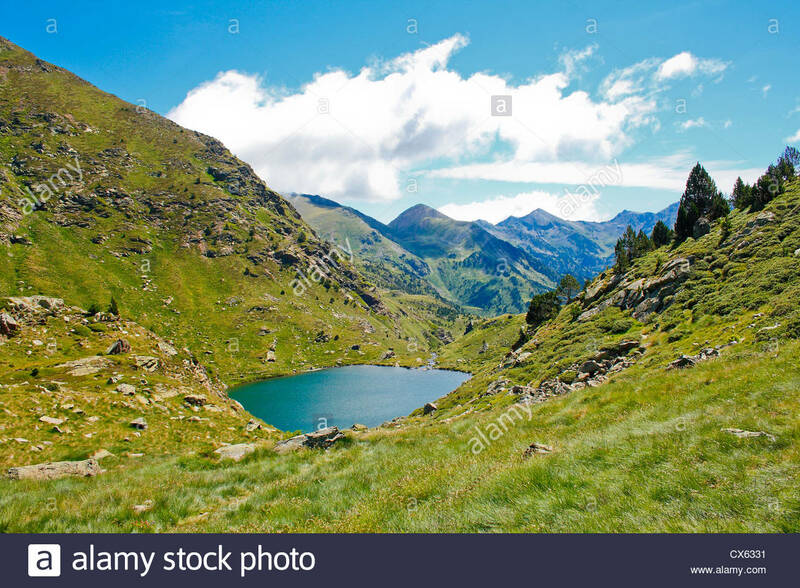 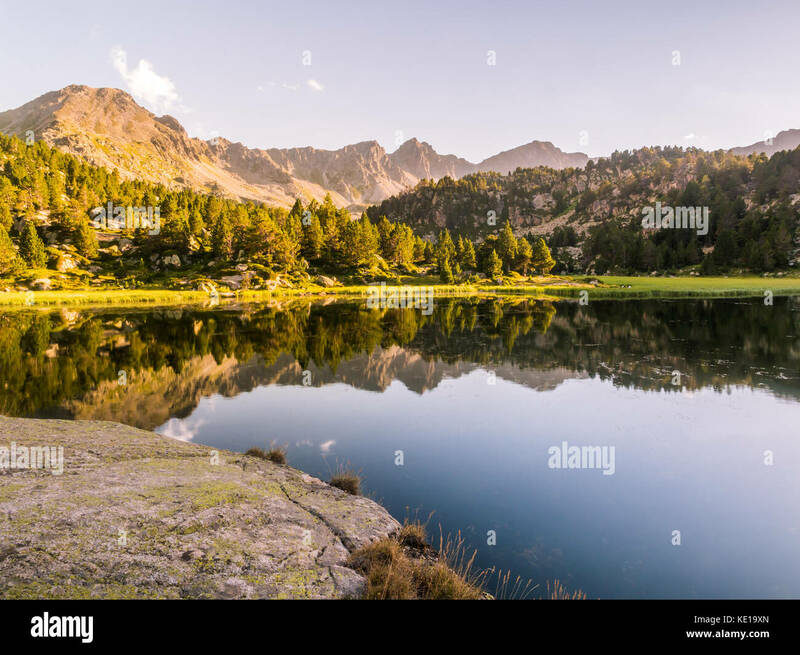 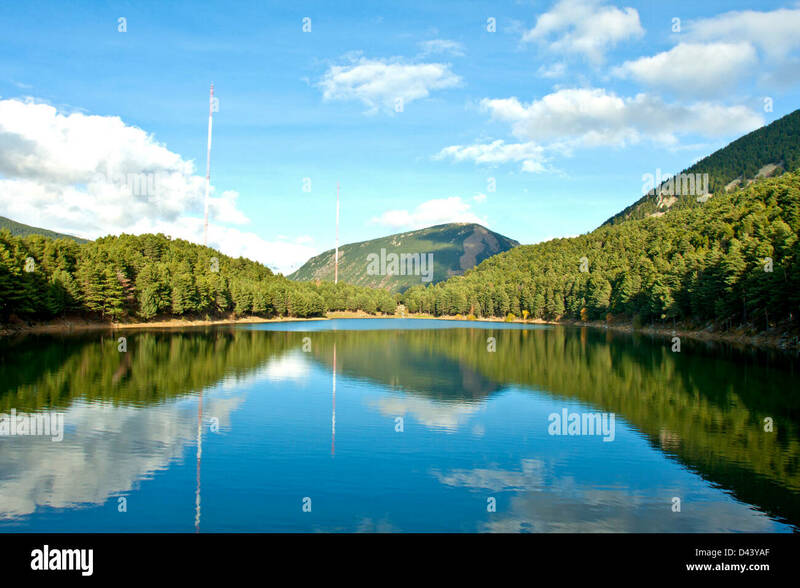 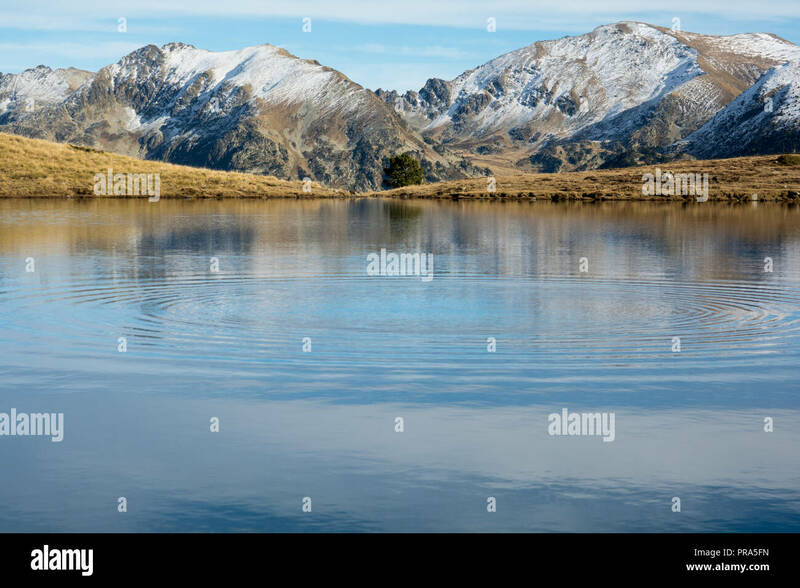 Estany Primer lake in Andorra, Pyrenees Mountains. 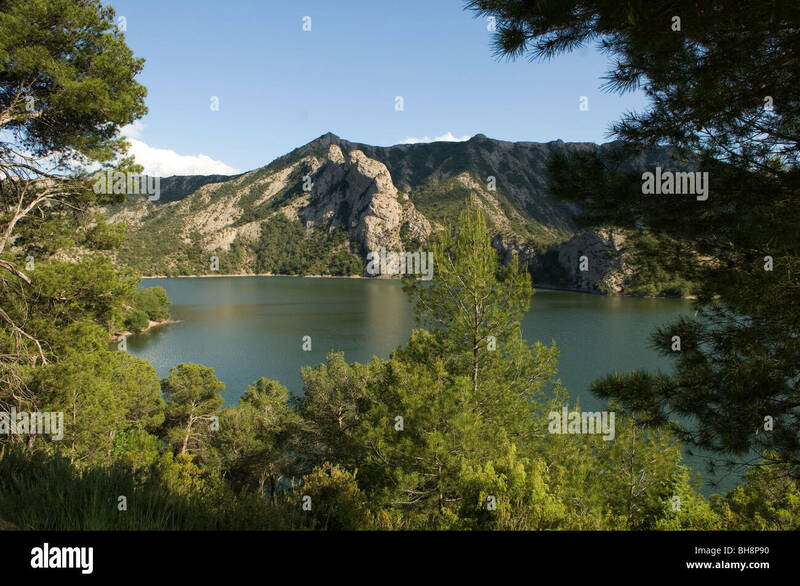 Autumn in Lake Querol, El Tarter, Canillo, Andorra. 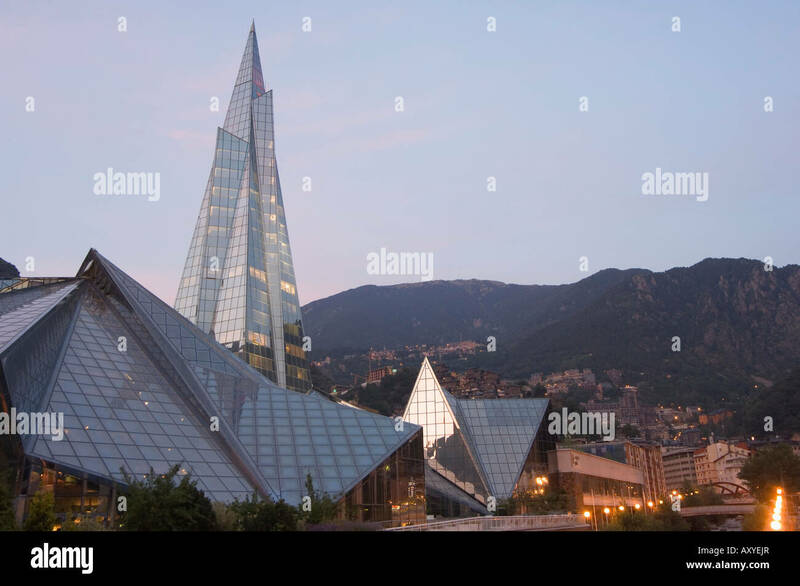 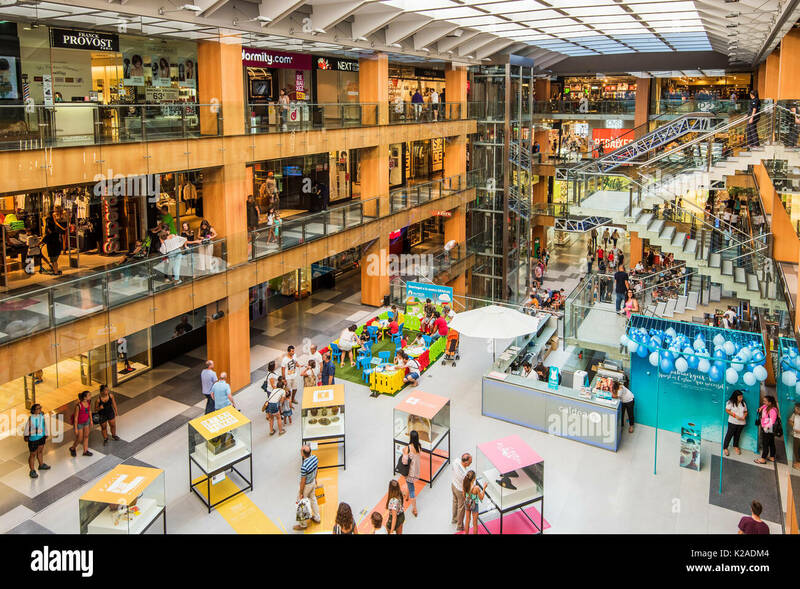 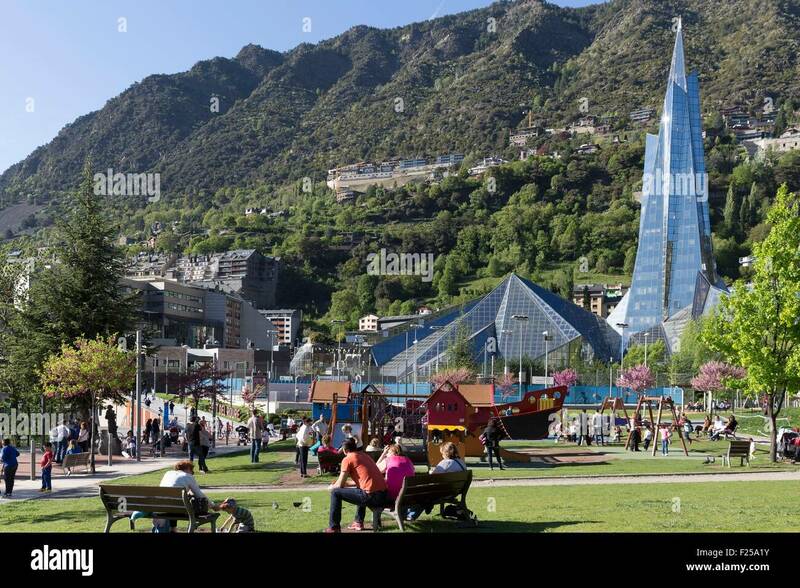 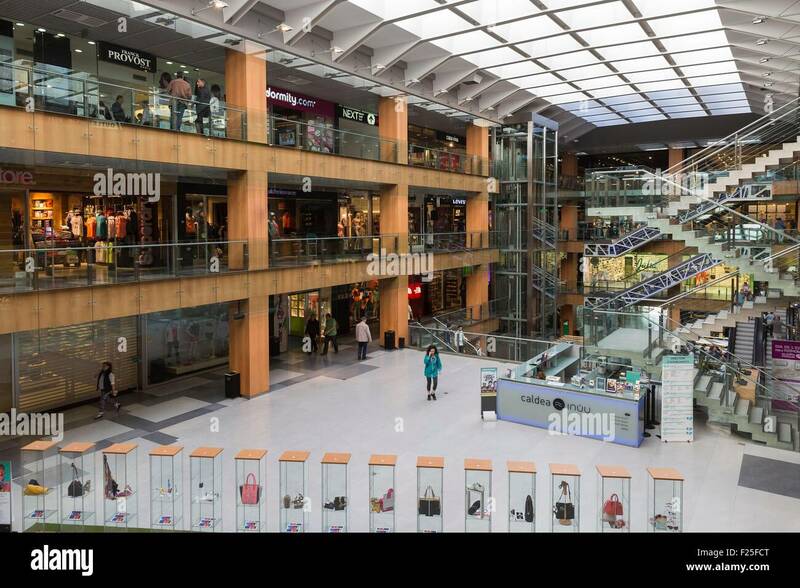 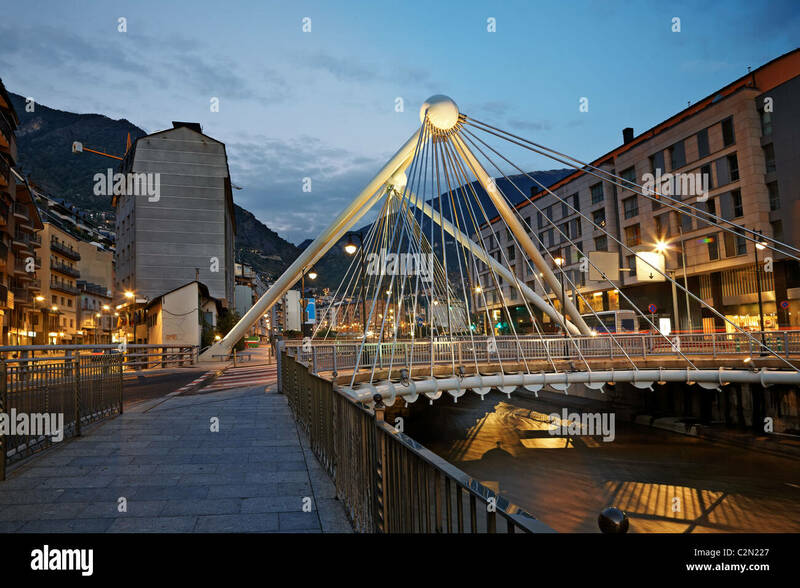 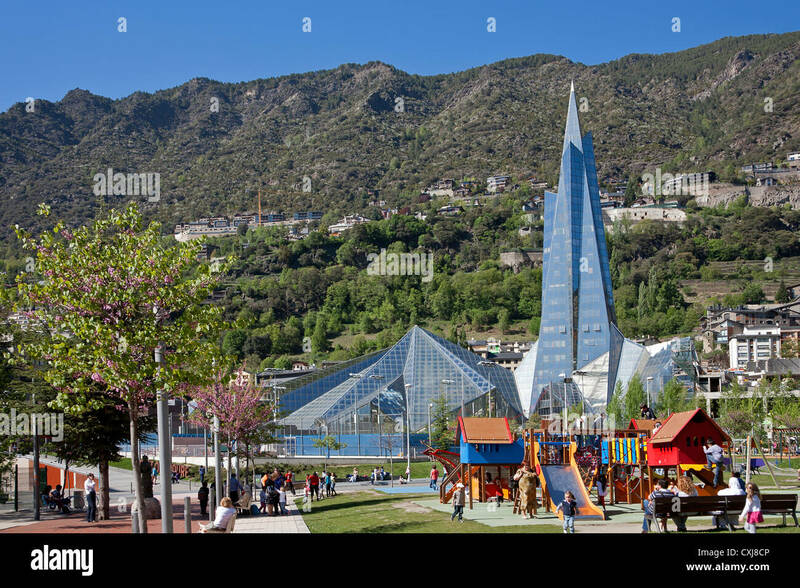 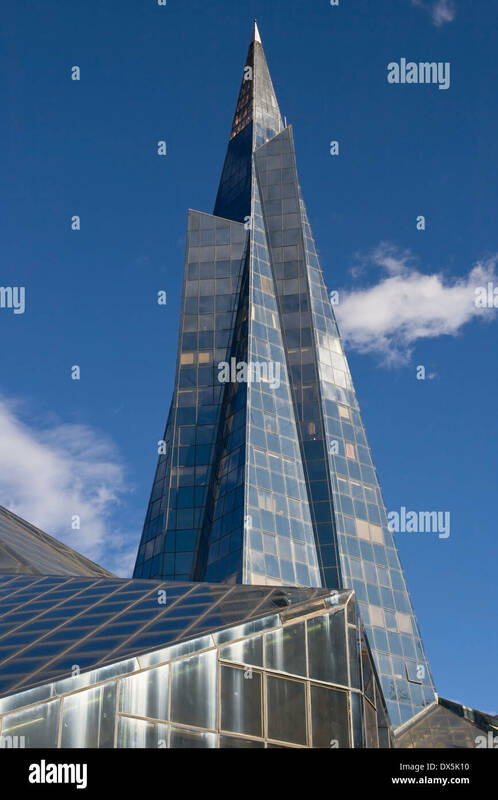 Modern glass pyramid building in Escaldes-Engordany, Andorra. 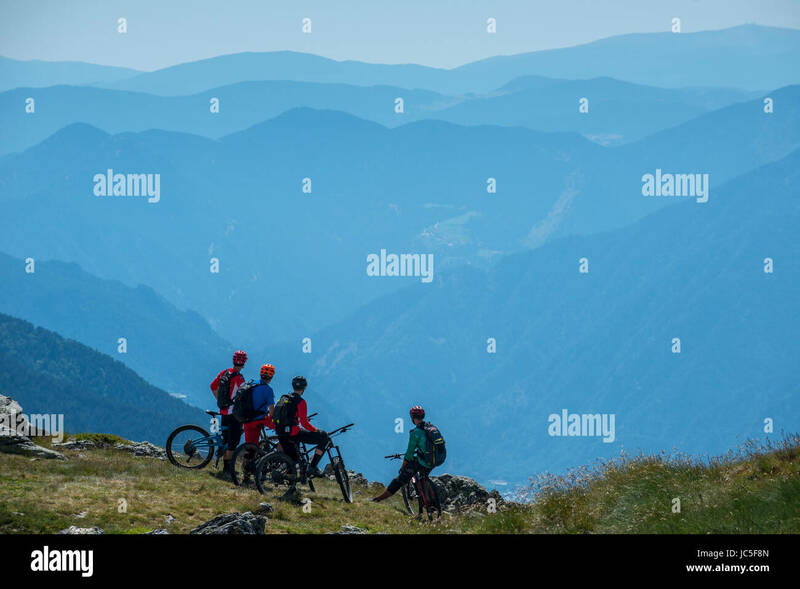 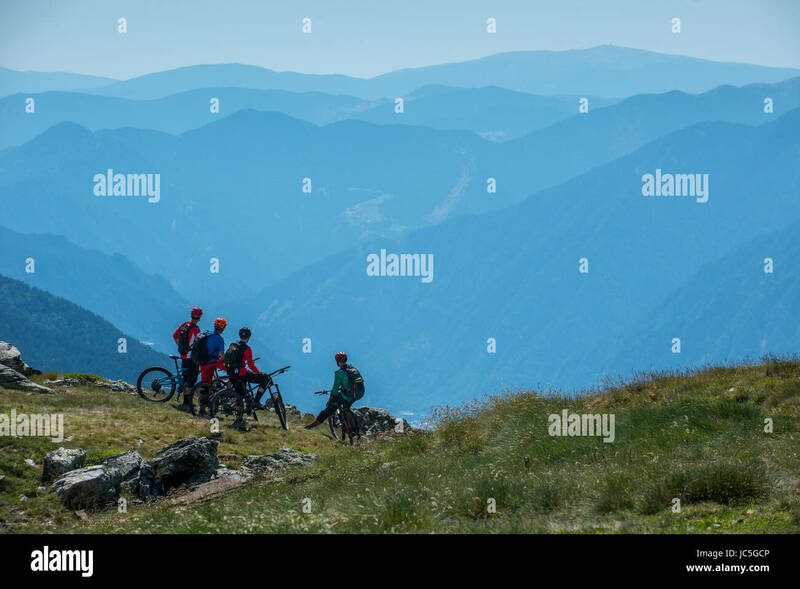 A group of mountain bikers ride a trail high in the Pyrenees, Andorra. 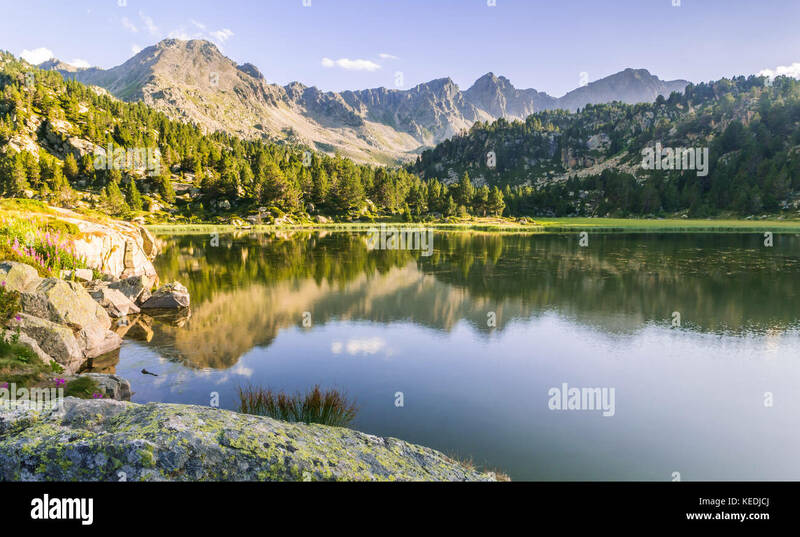 Mountain lake in Andorra, Europe. 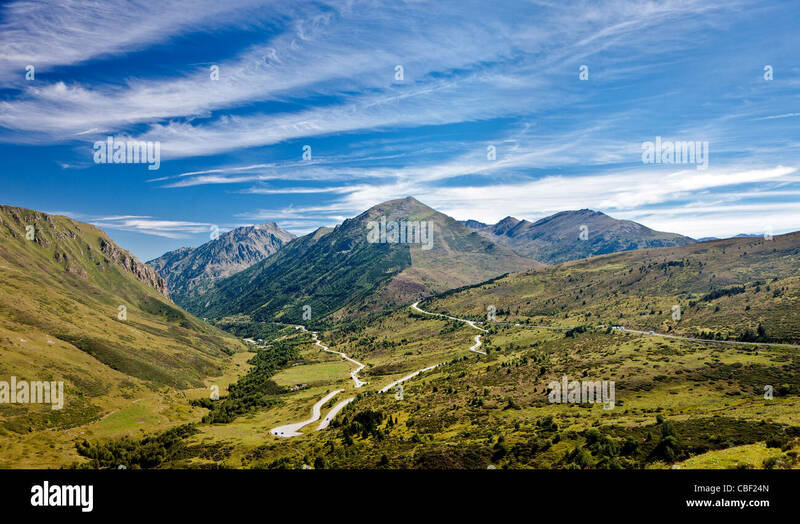 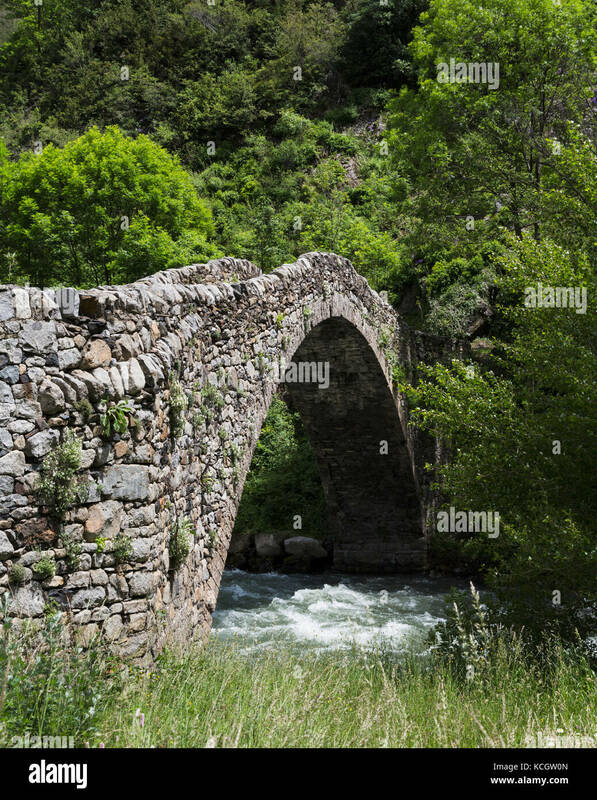 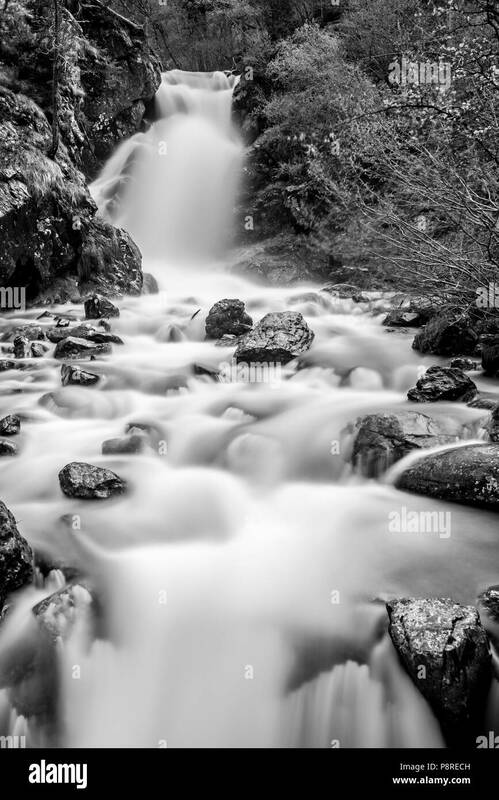 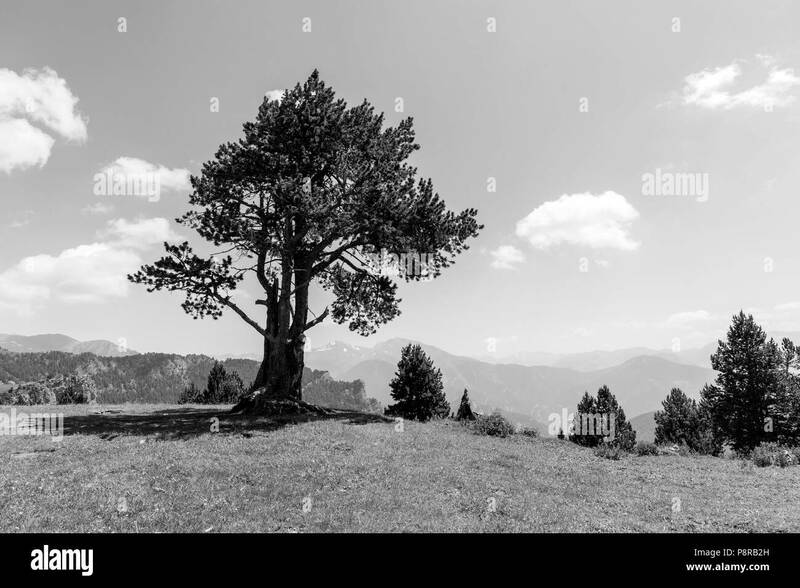 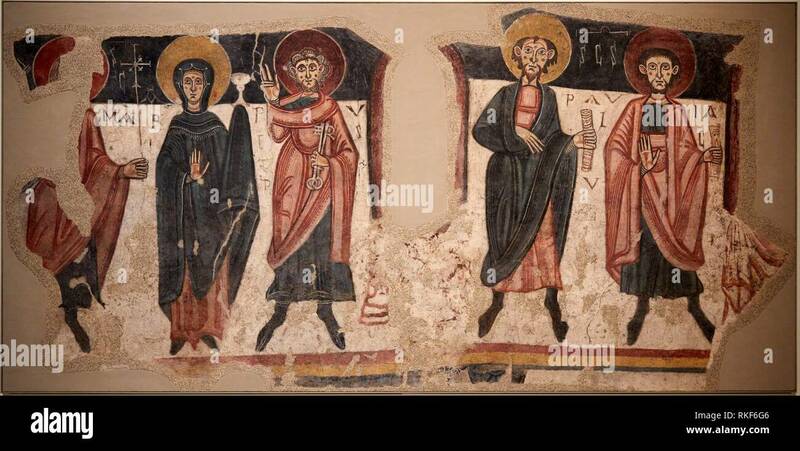 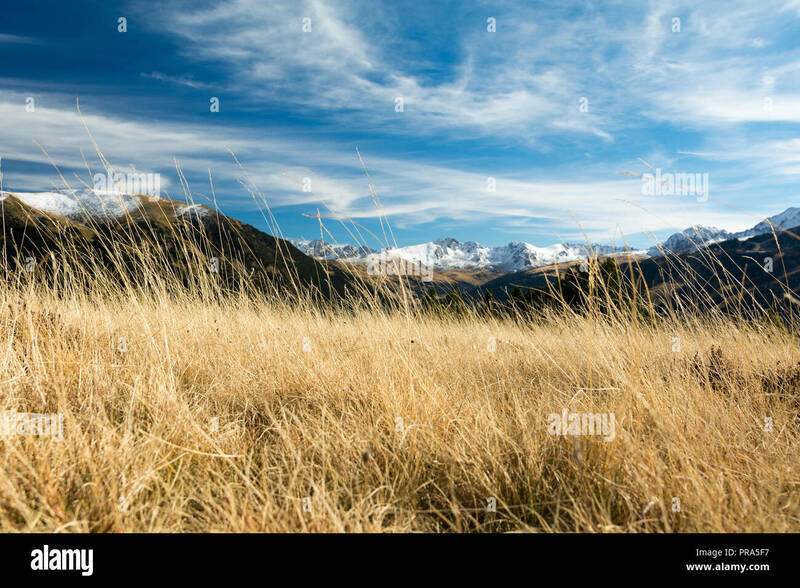 Pyrenees. 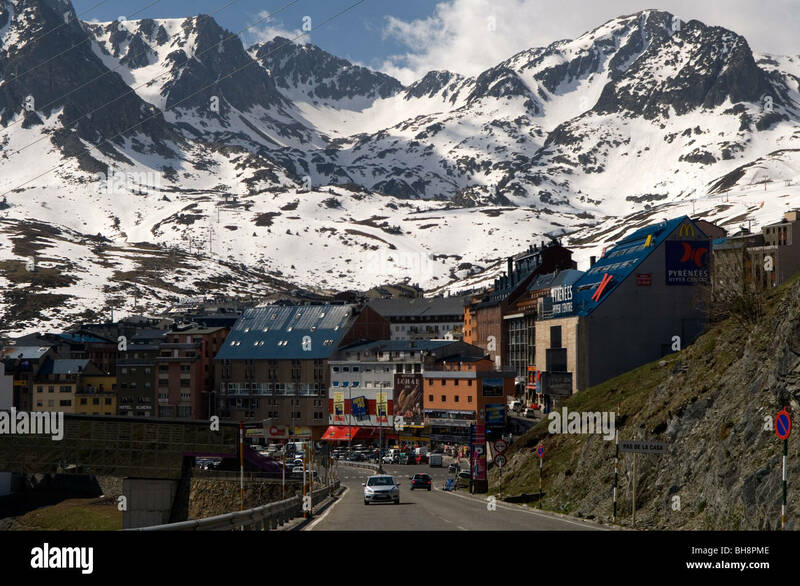 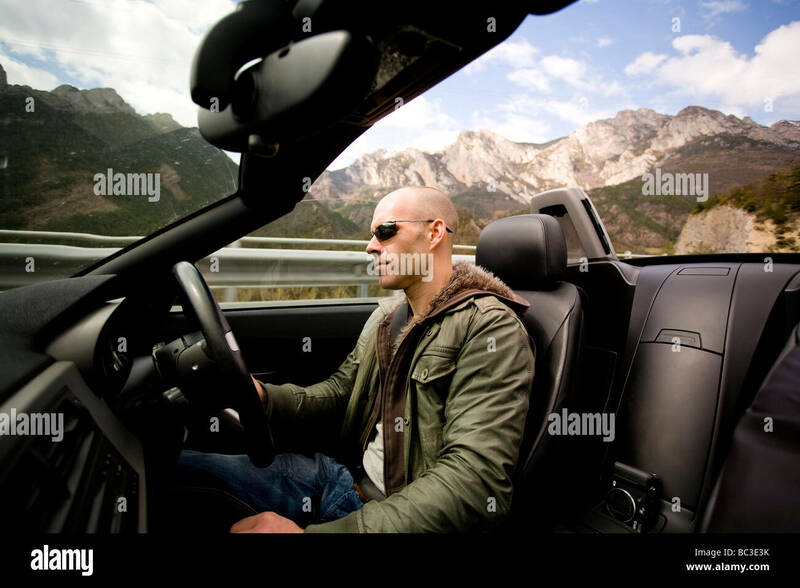 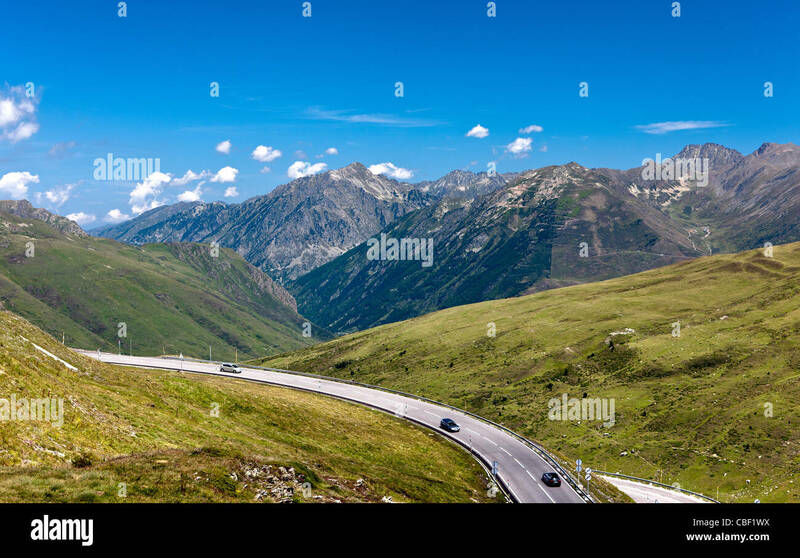 Driving through the Pyrenees and Andorra in an open top sports car. 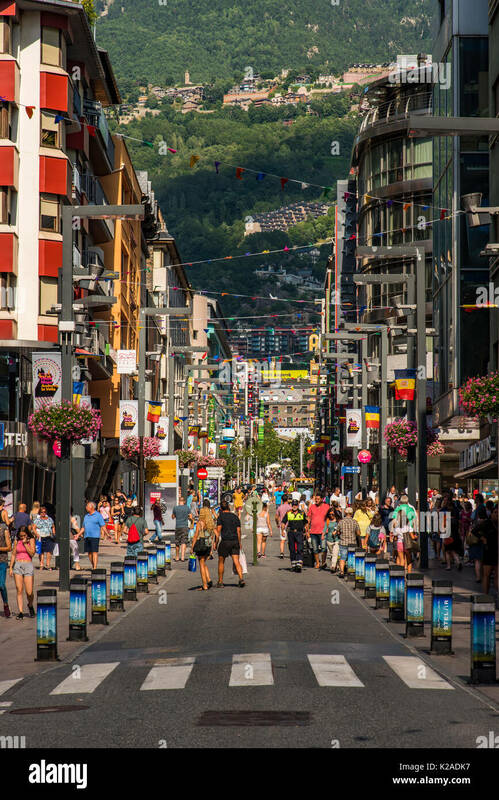 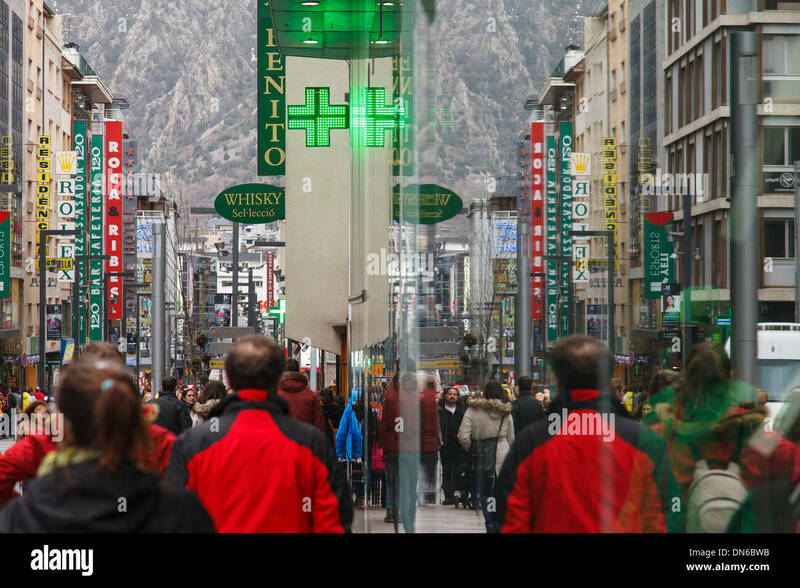 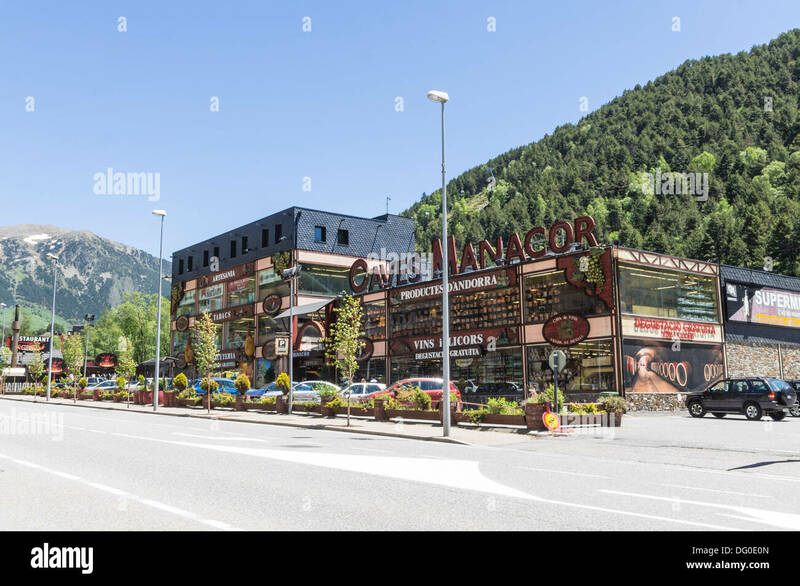 Andorra - duty free shopping on the road into France. 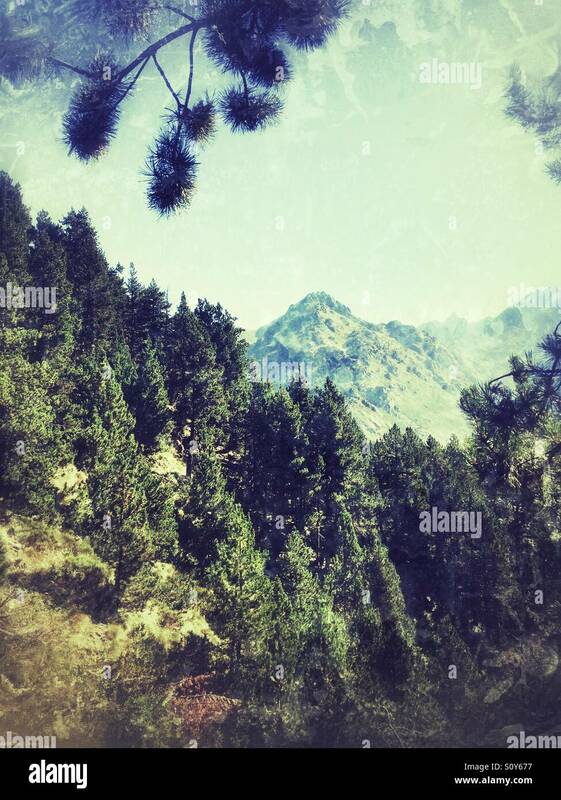 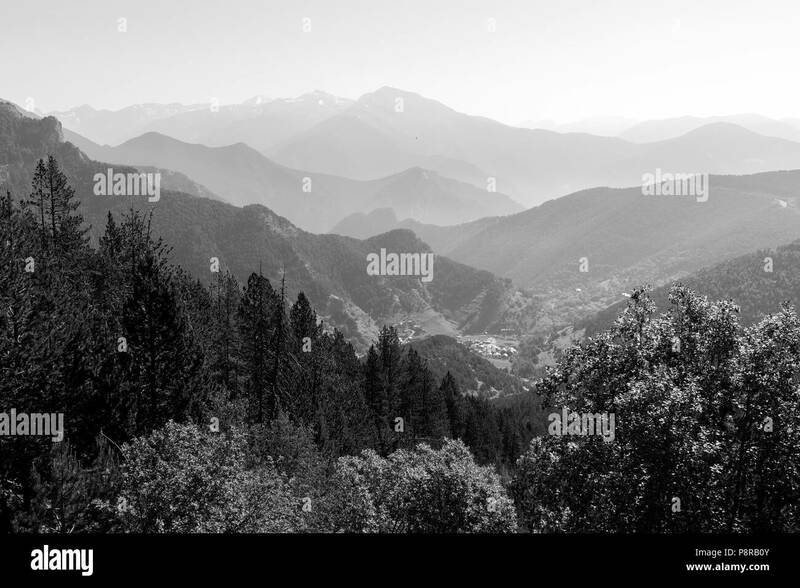 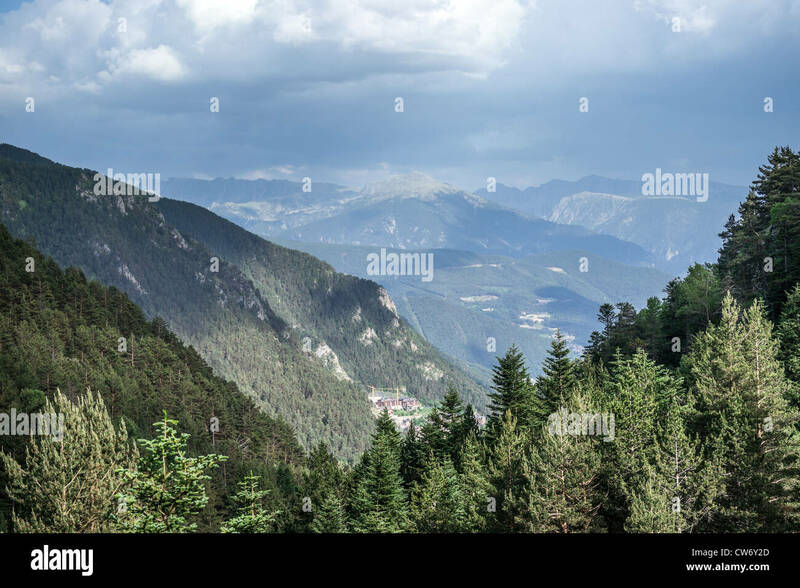 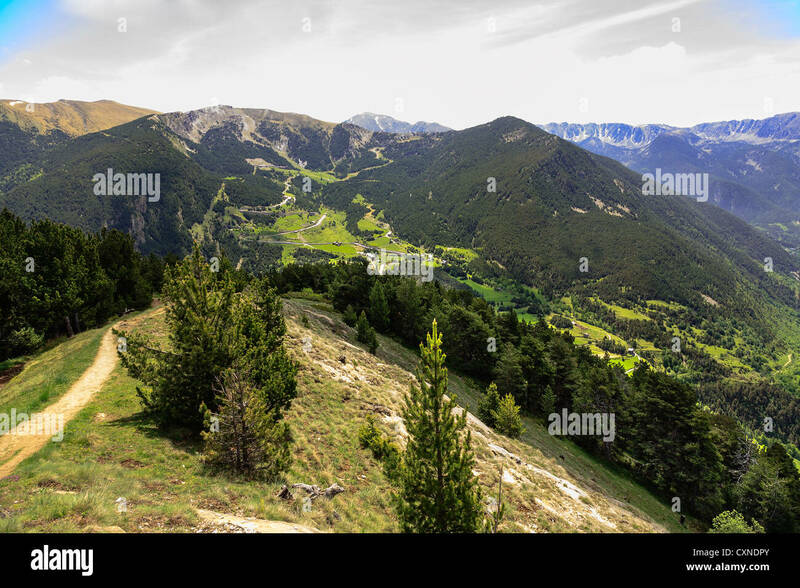 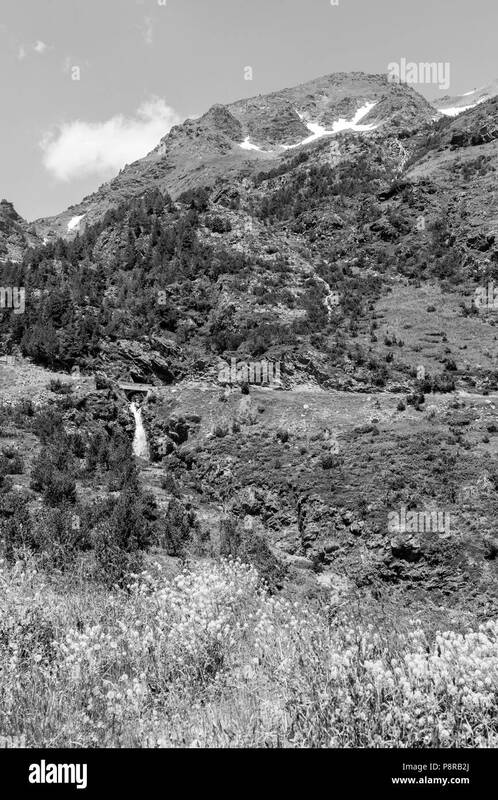 A mountain biker rides along a mountain ridge in Andorra in the Pyrenees. 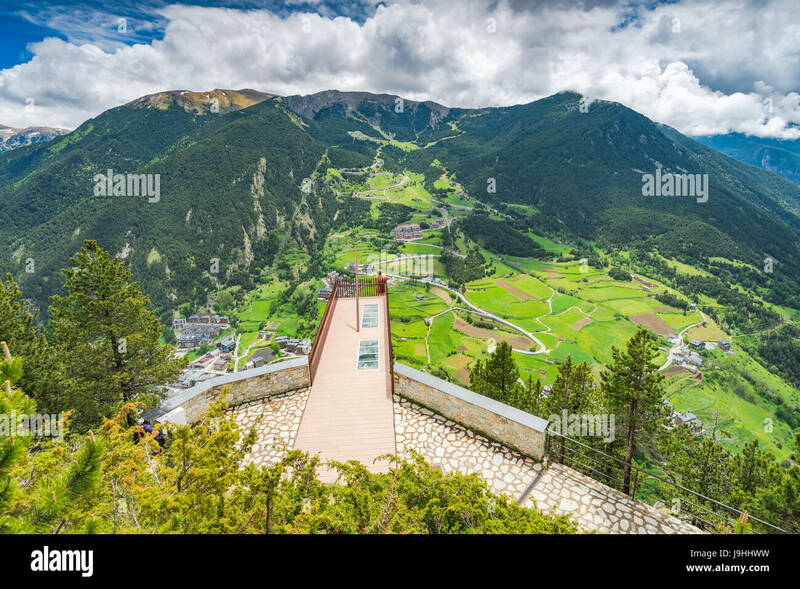 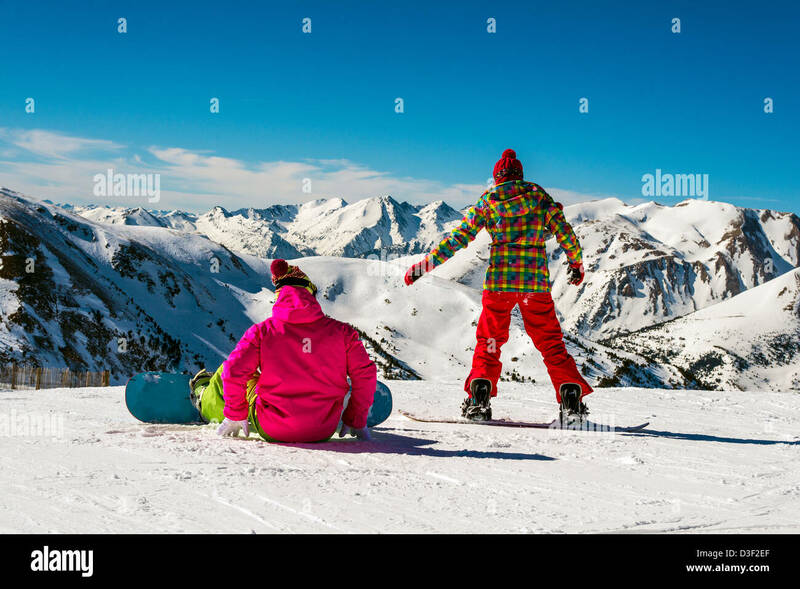 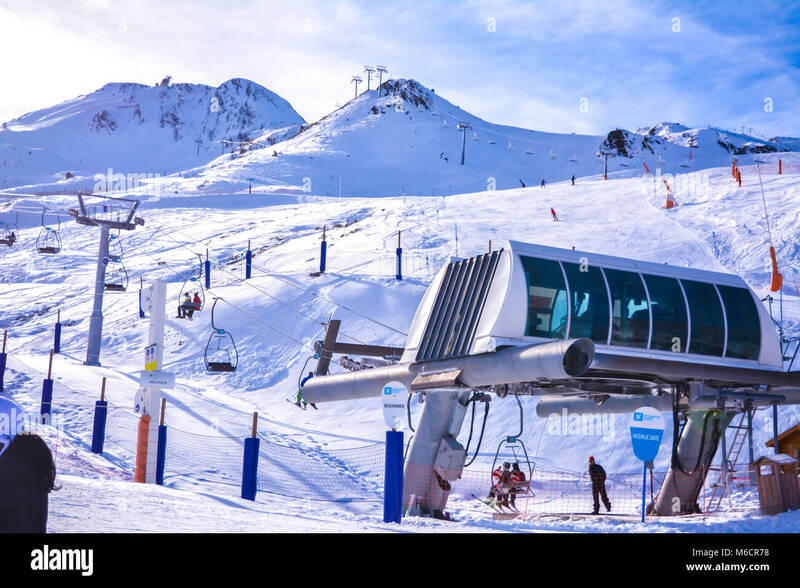 Observation deck in Andorra - Roc Del Quer. 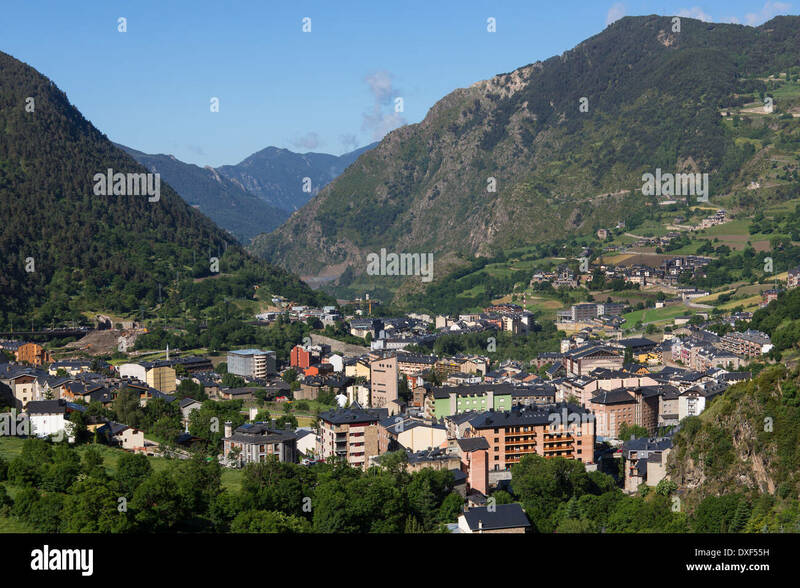 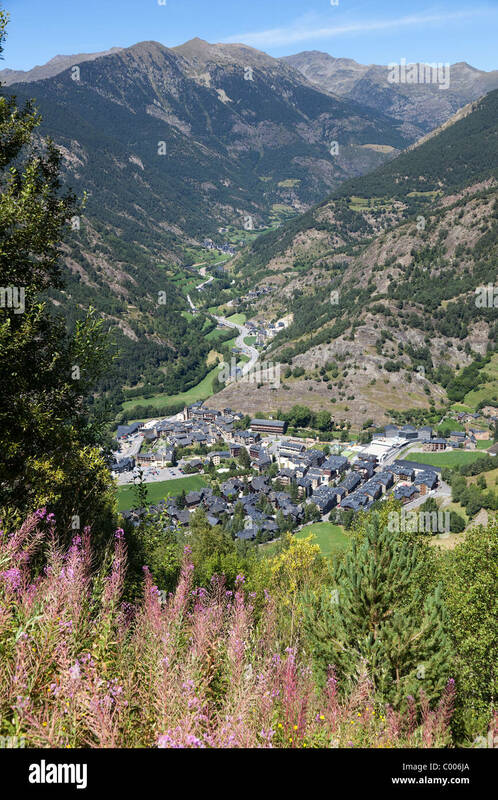 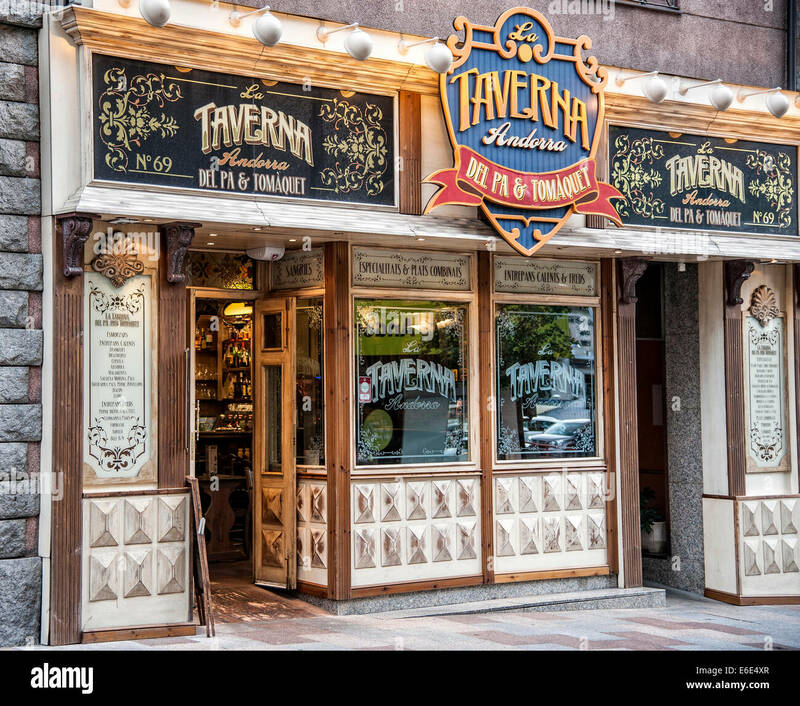 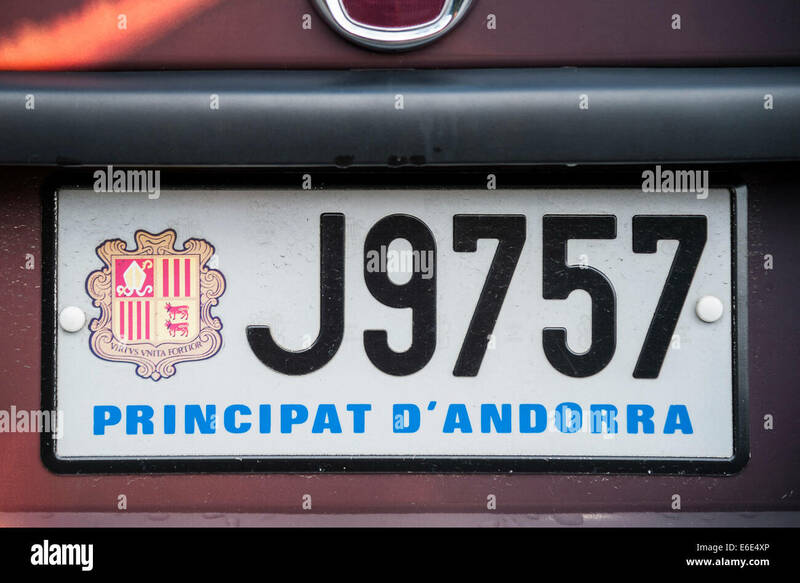 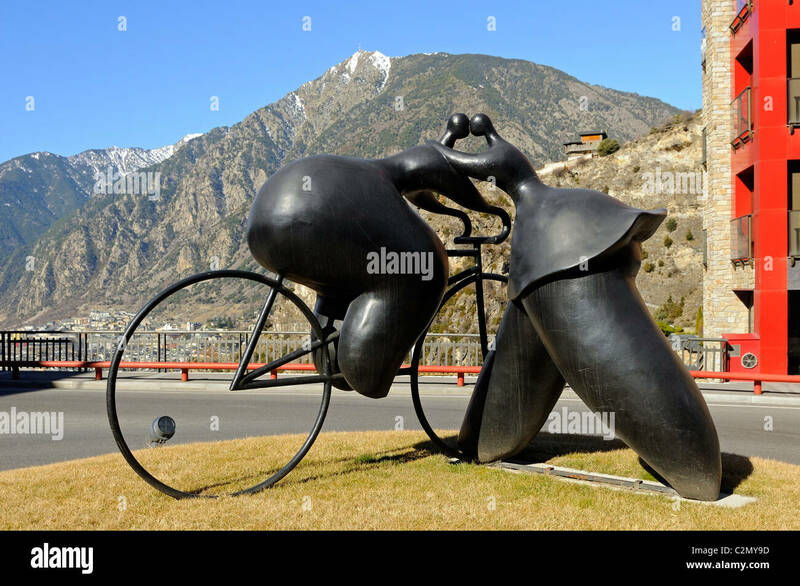 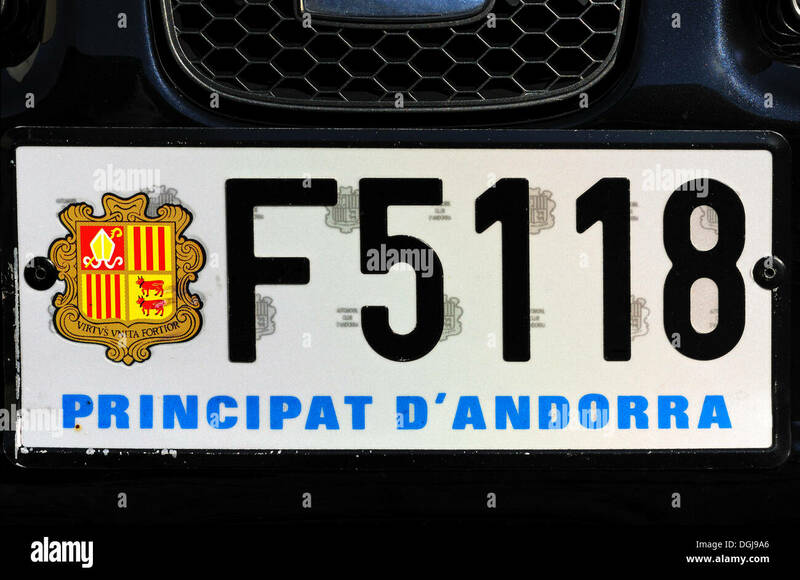 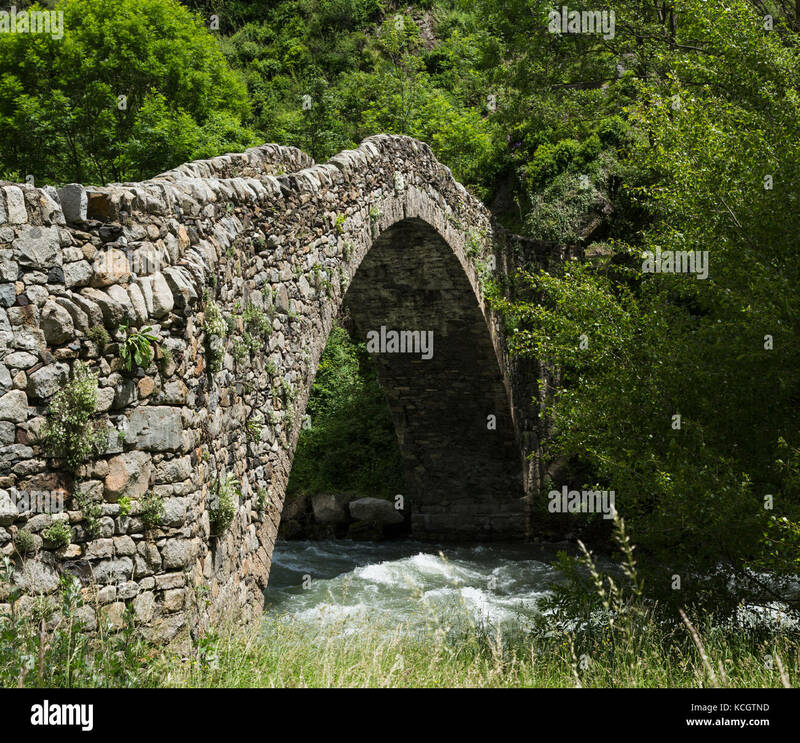 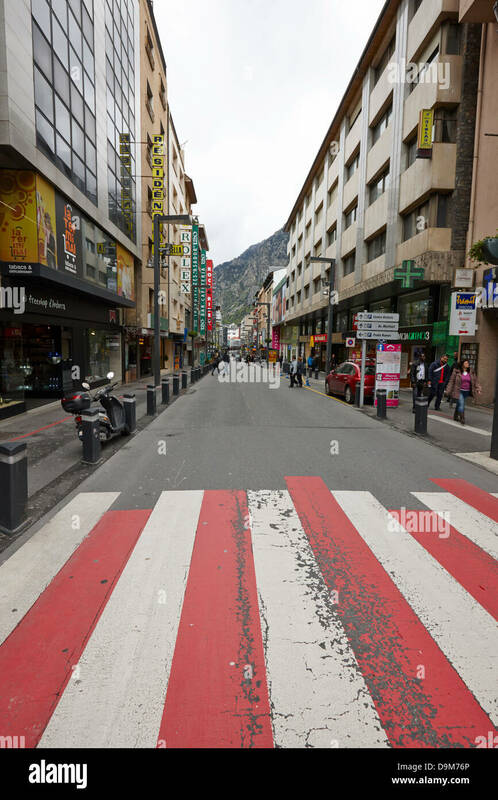 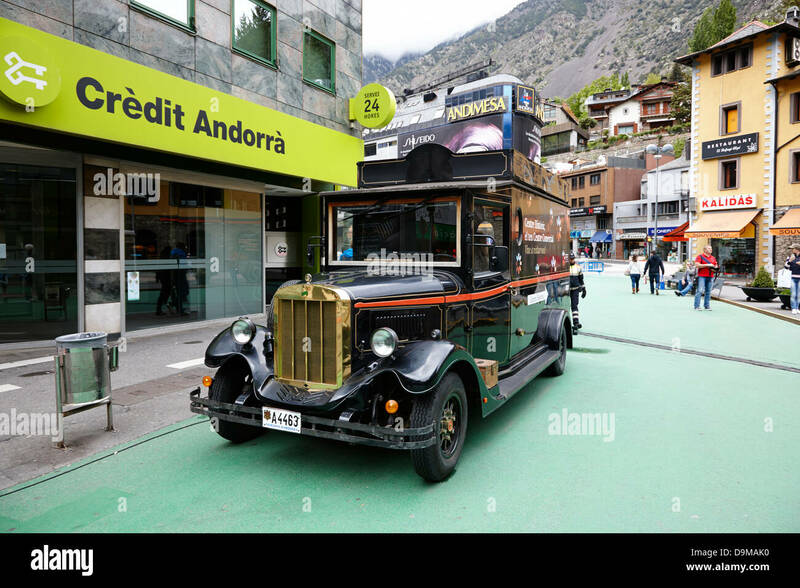 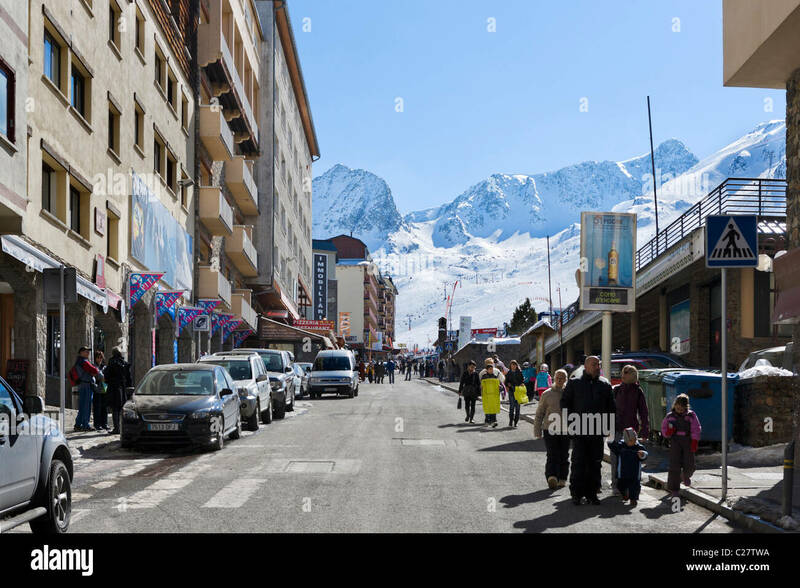 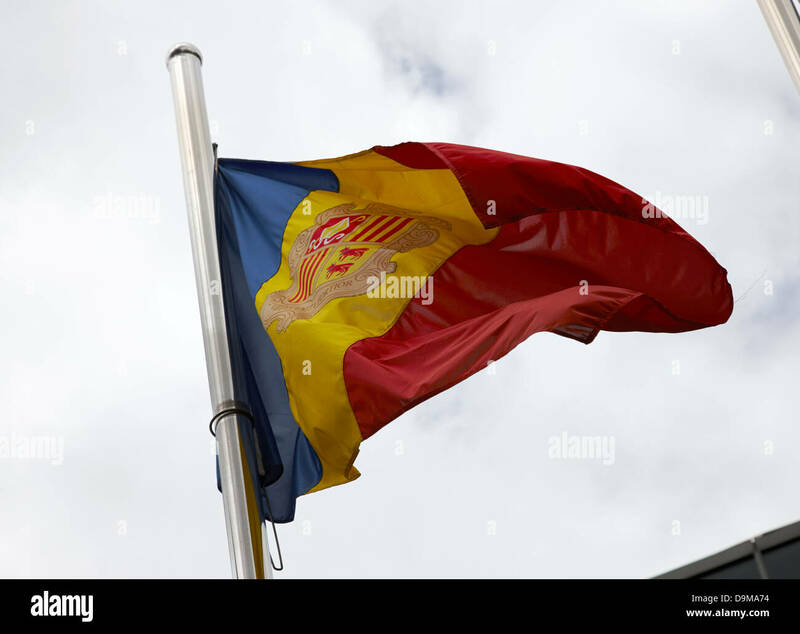 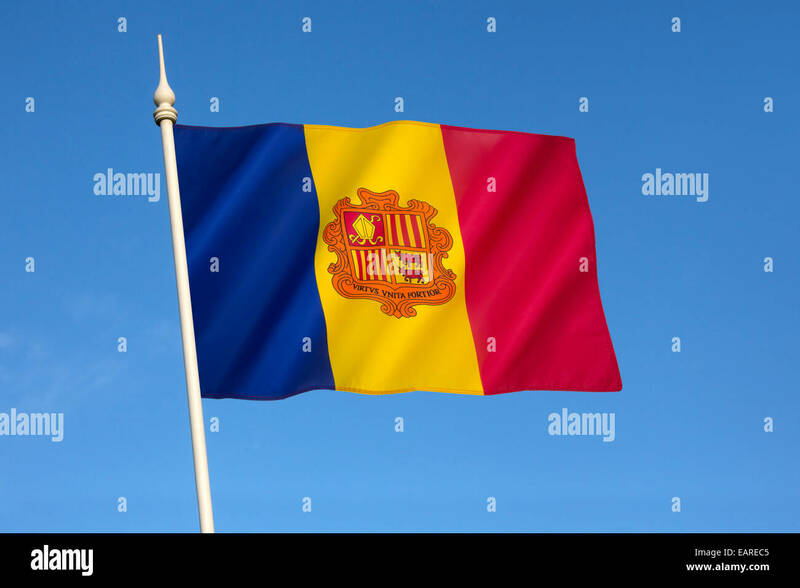 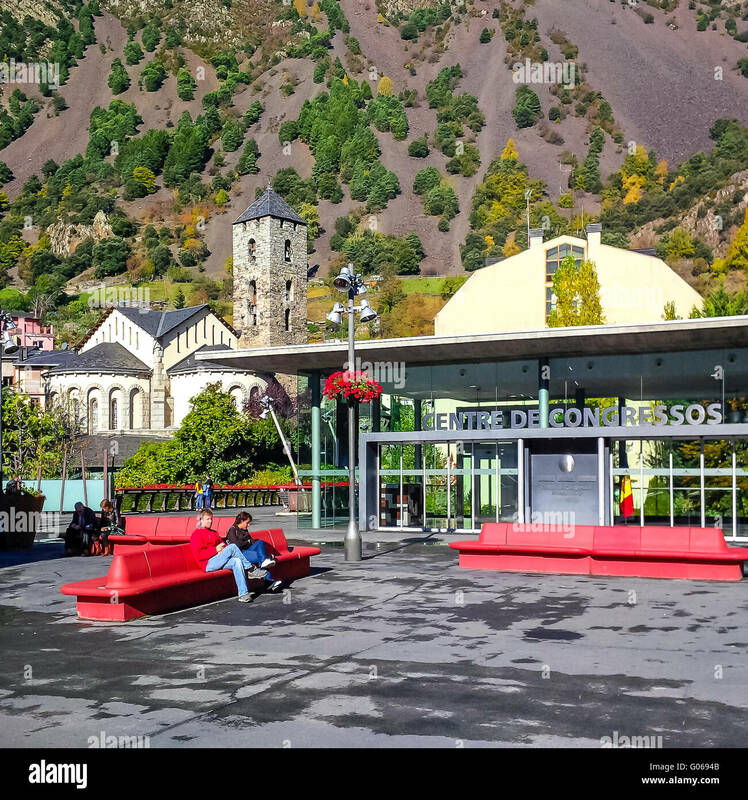 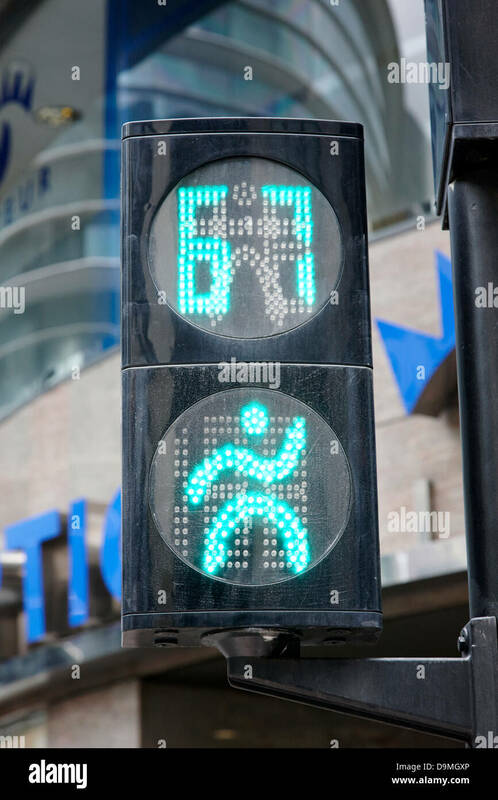 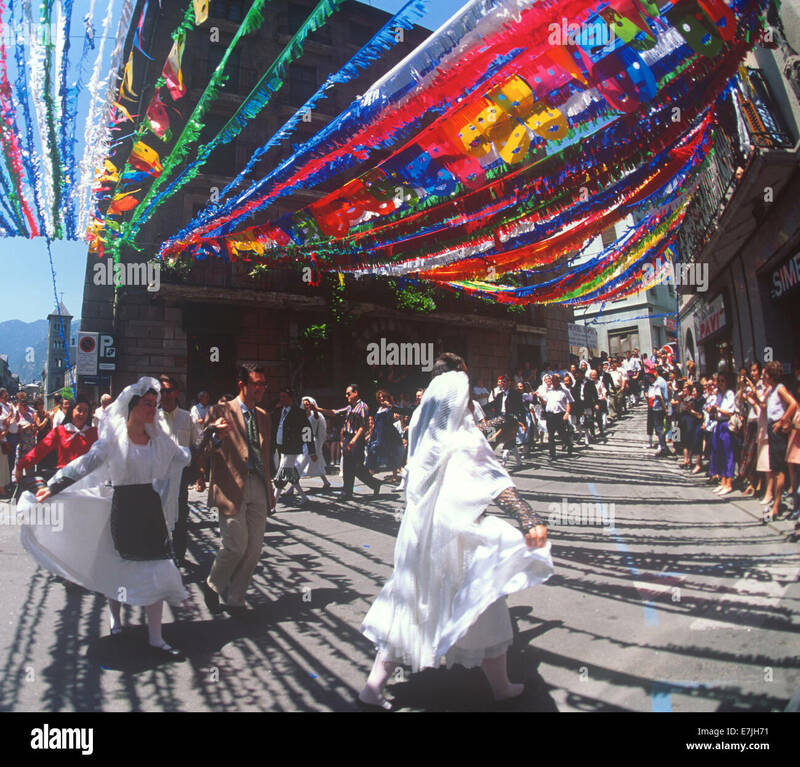 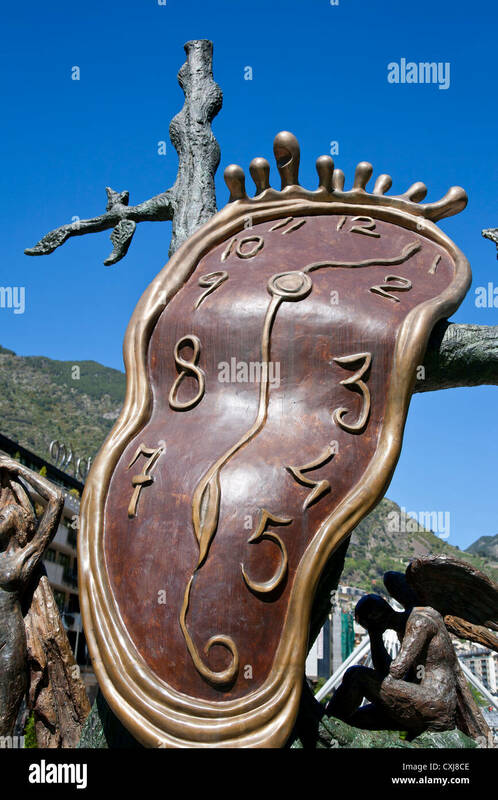 Andorra - Pas de la Casa, route from France. 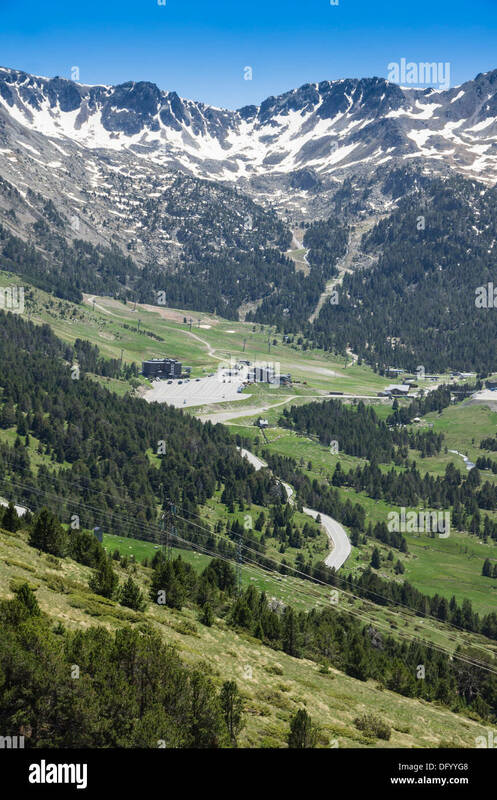 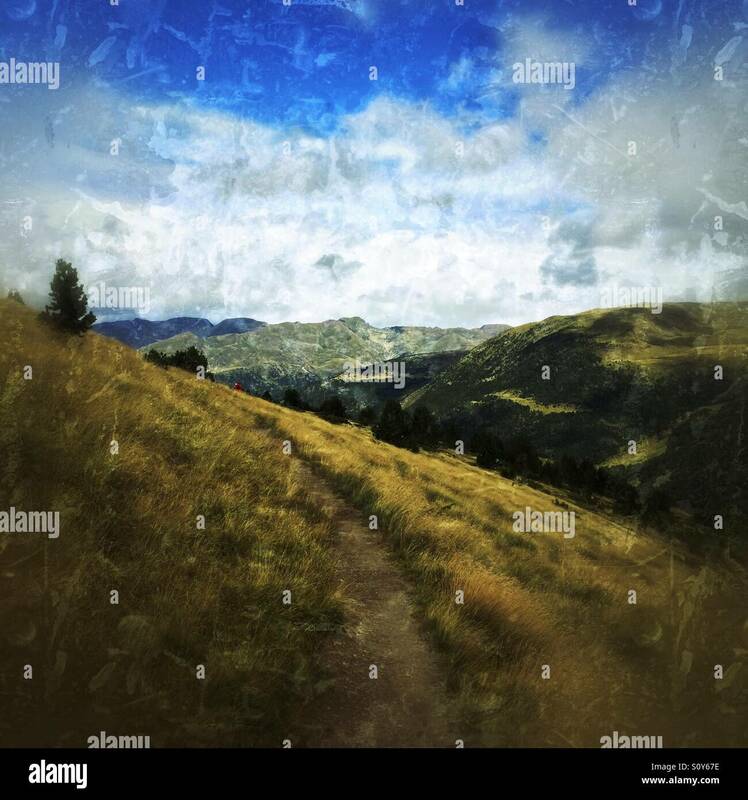 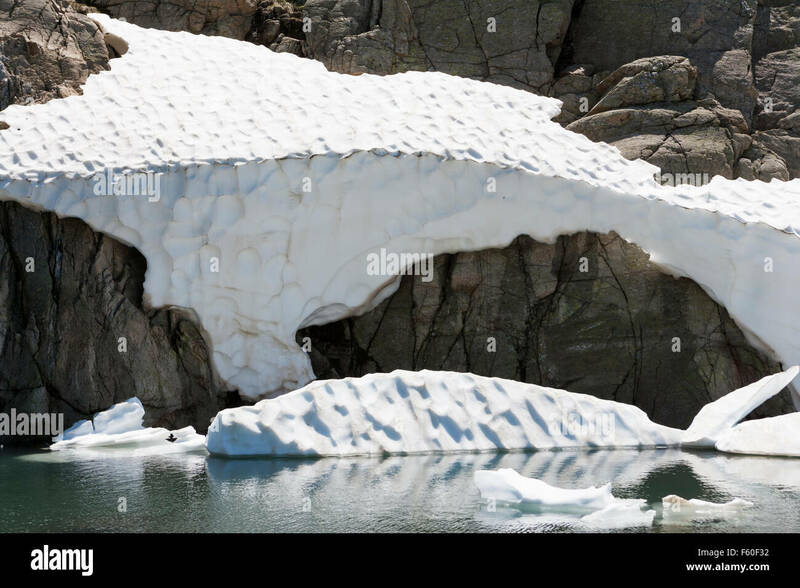 Landscape view with snow in midsummer. 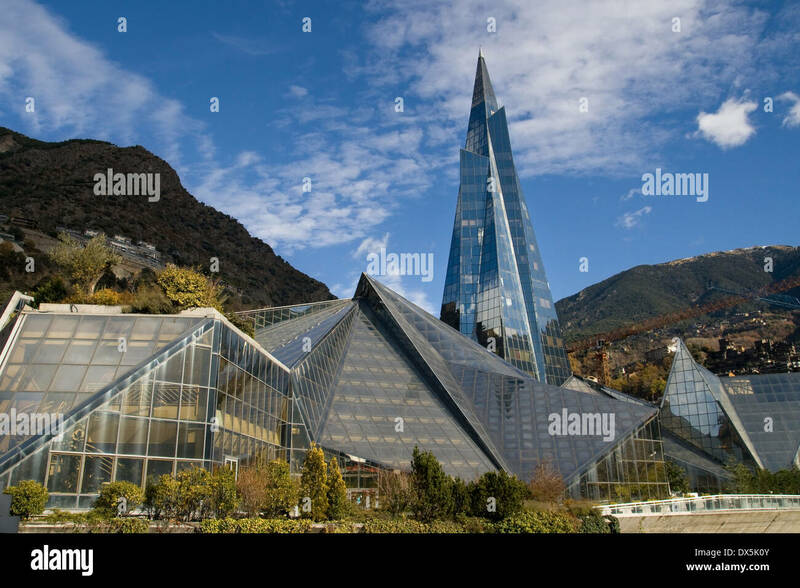 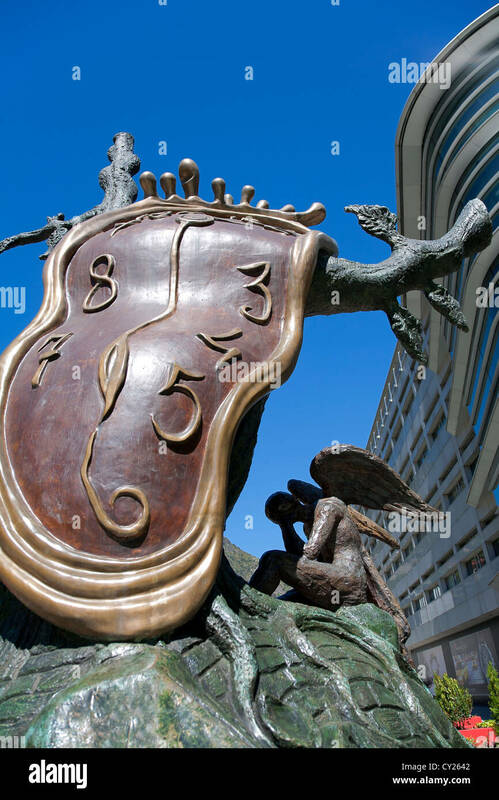 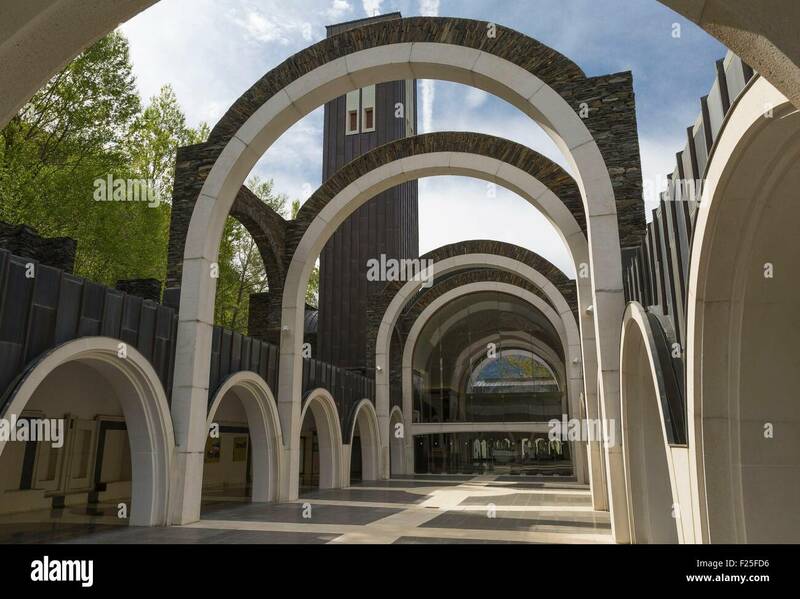 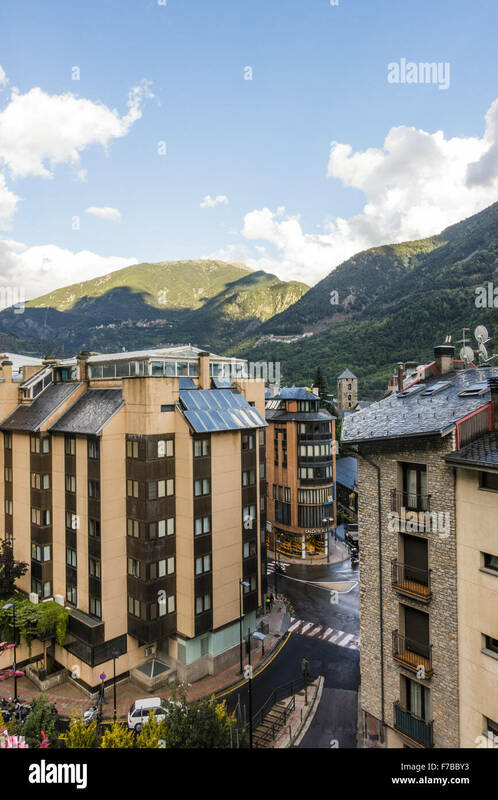 Modern office building in Escaldes-Engordany, Andorra.